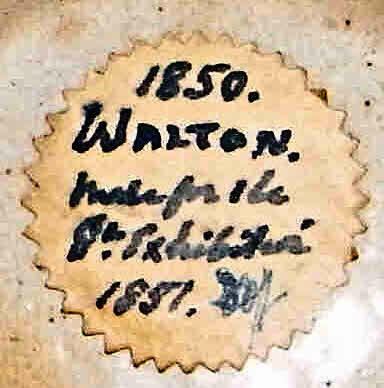 Unidentified Maker 5 - Bristol/Chesterfield? 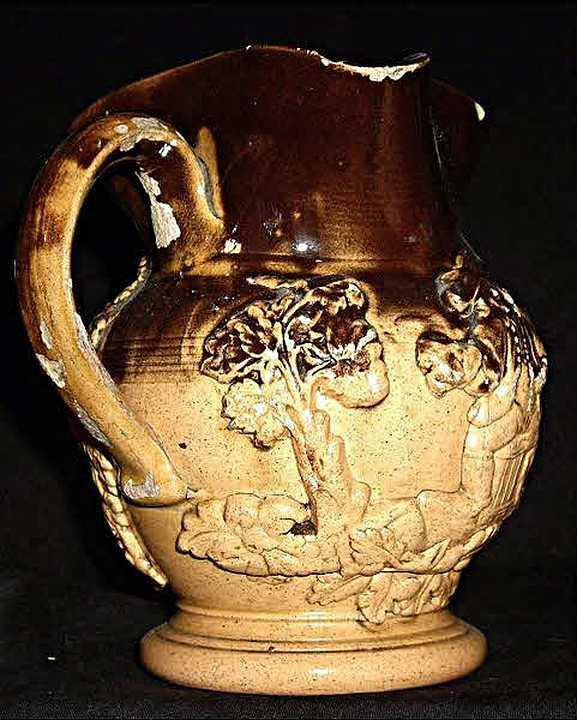 A series of sprigged lead glazed? 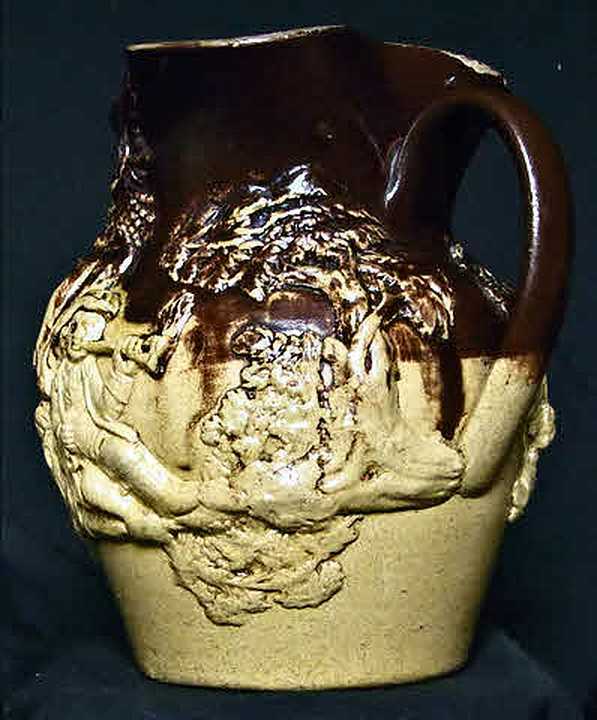 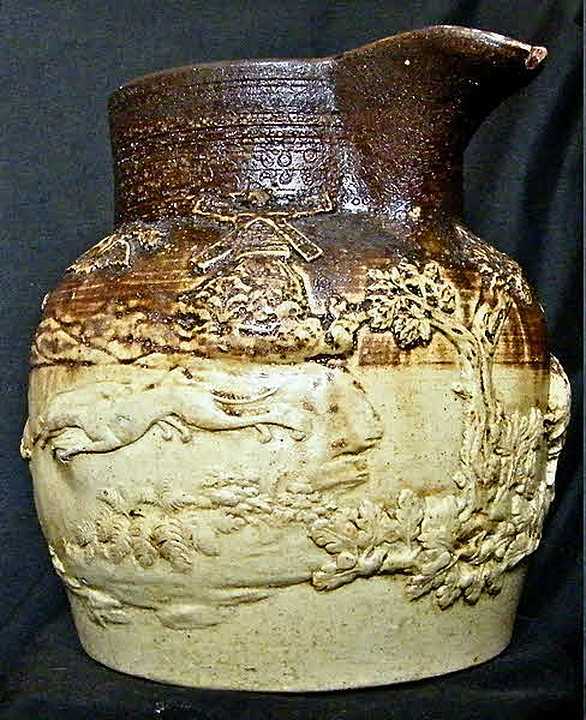 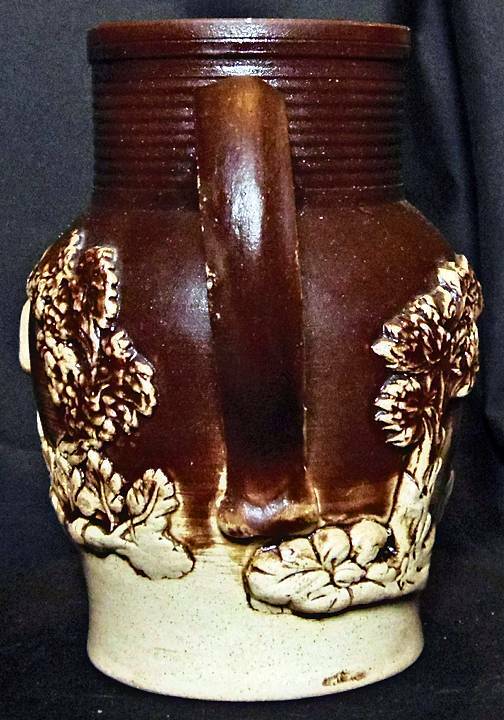 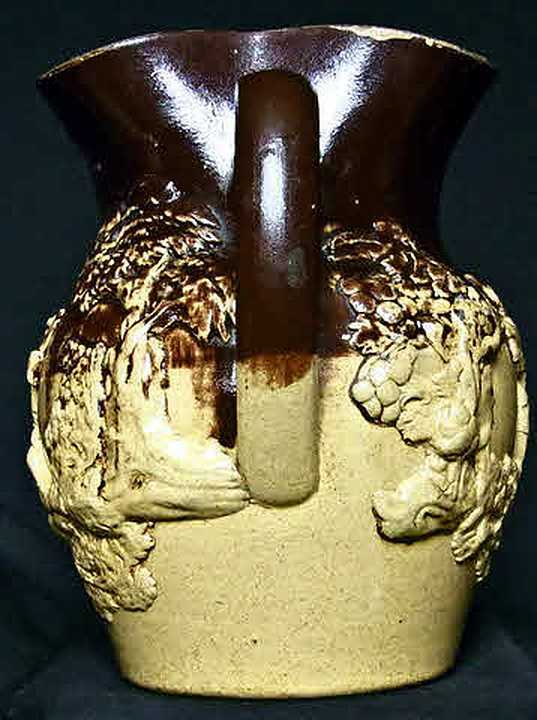 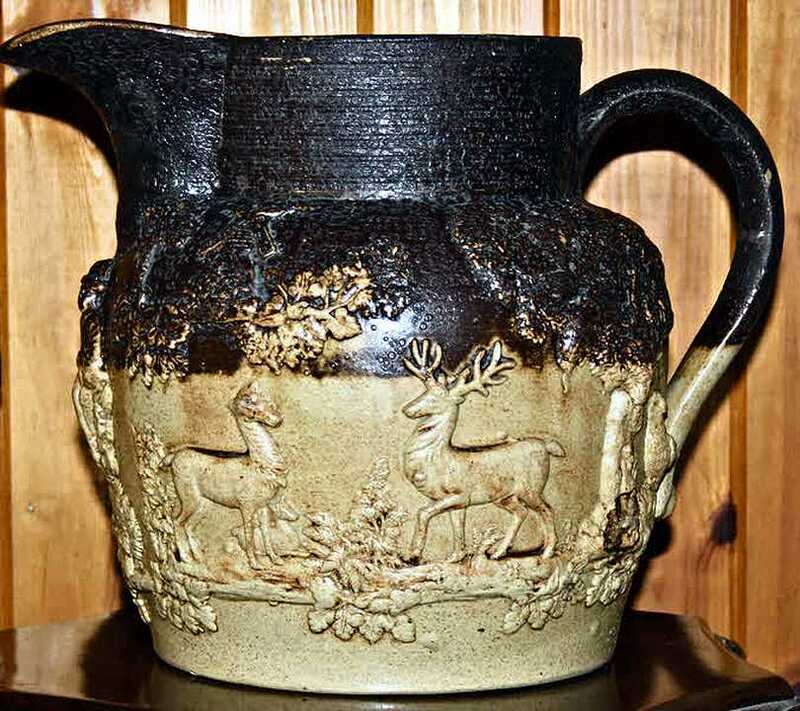 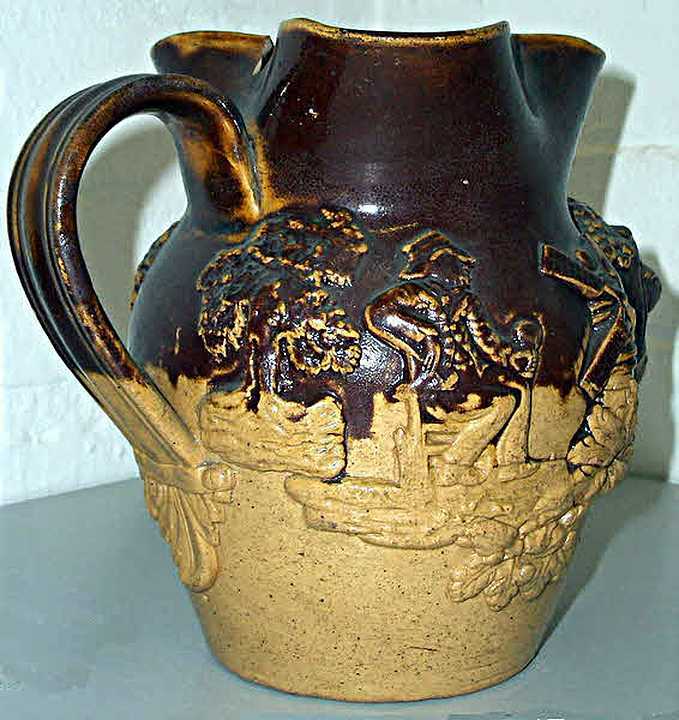 earthenware? 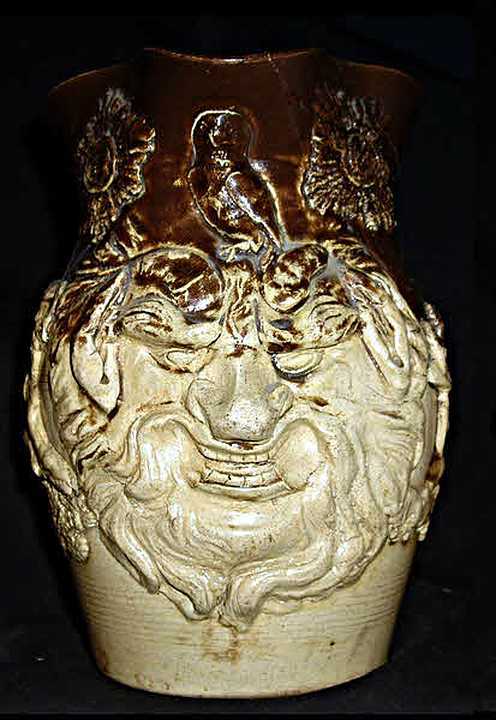 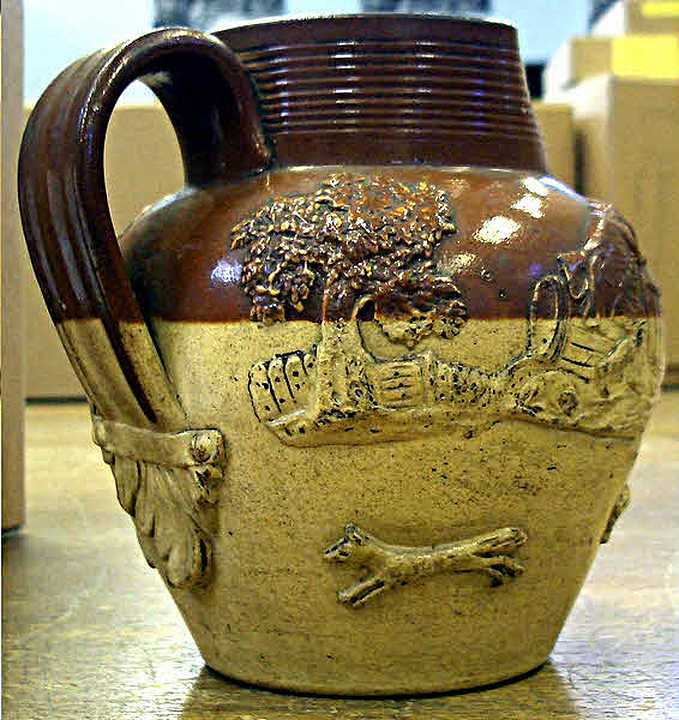 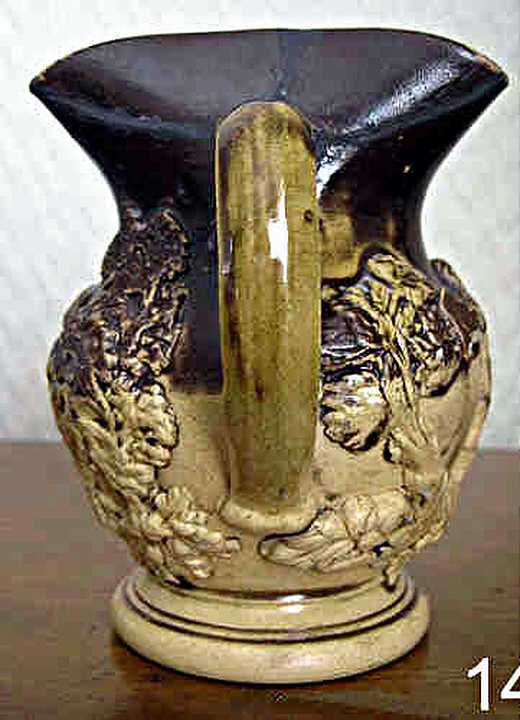 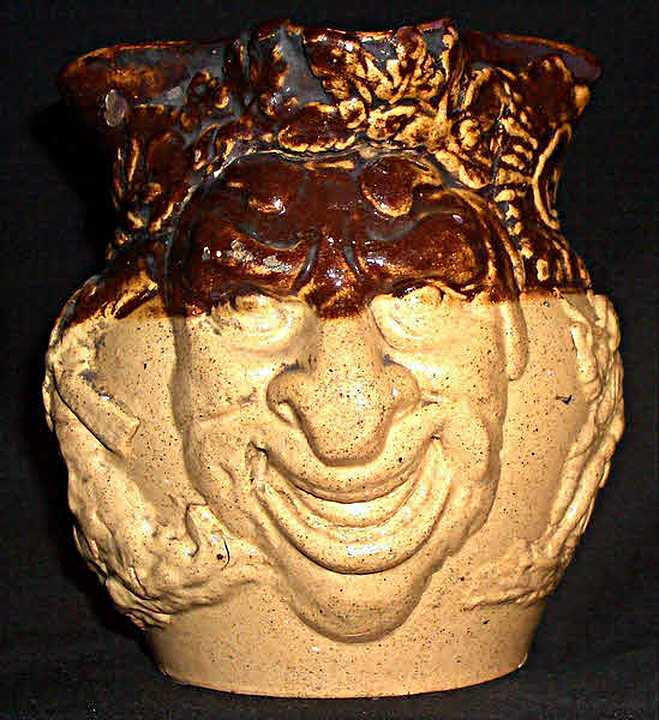 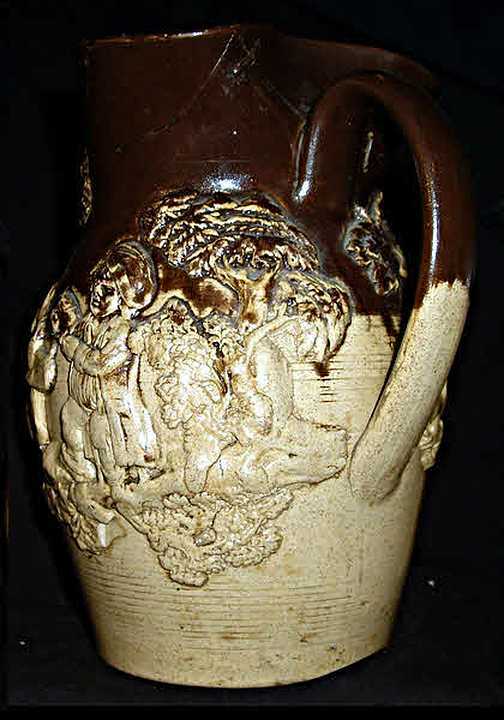 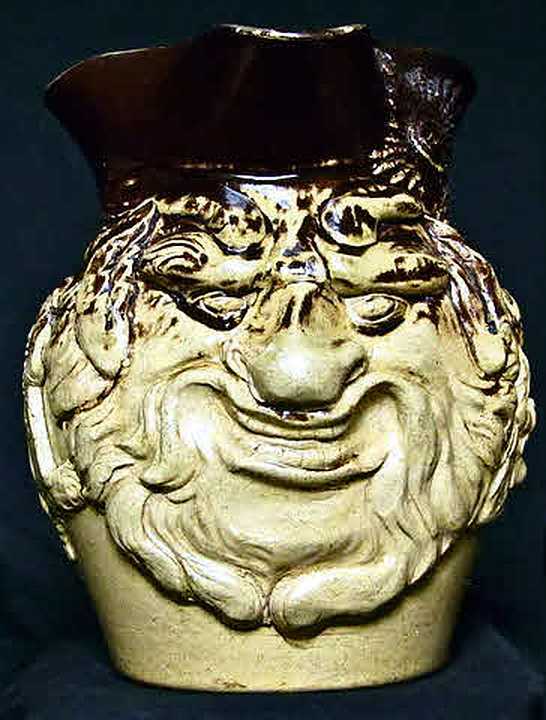 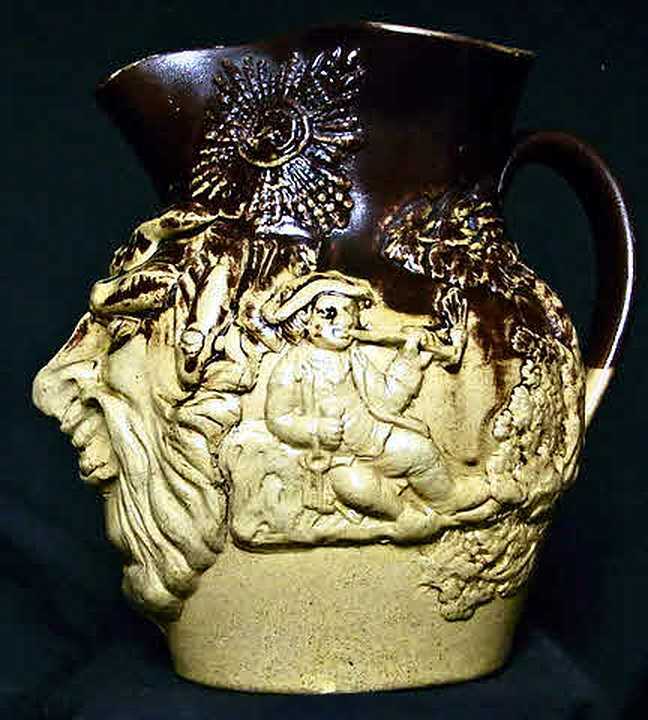 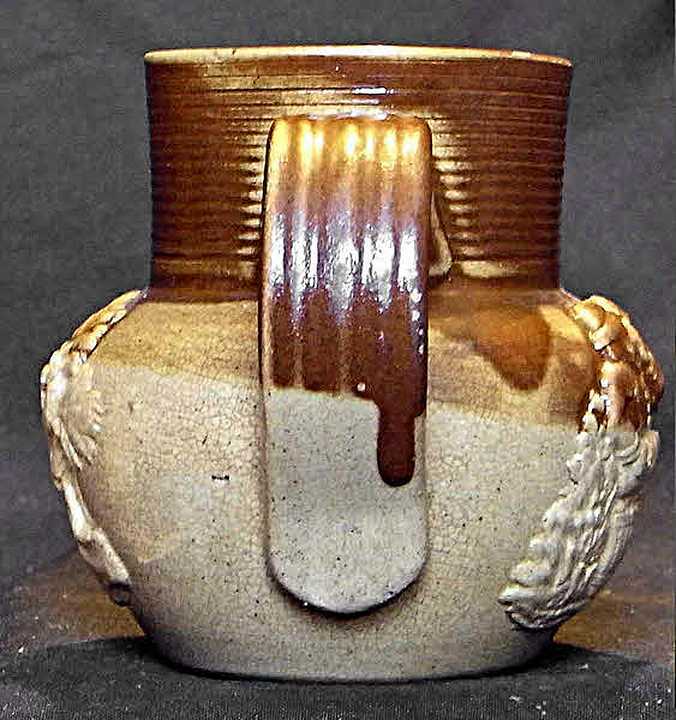 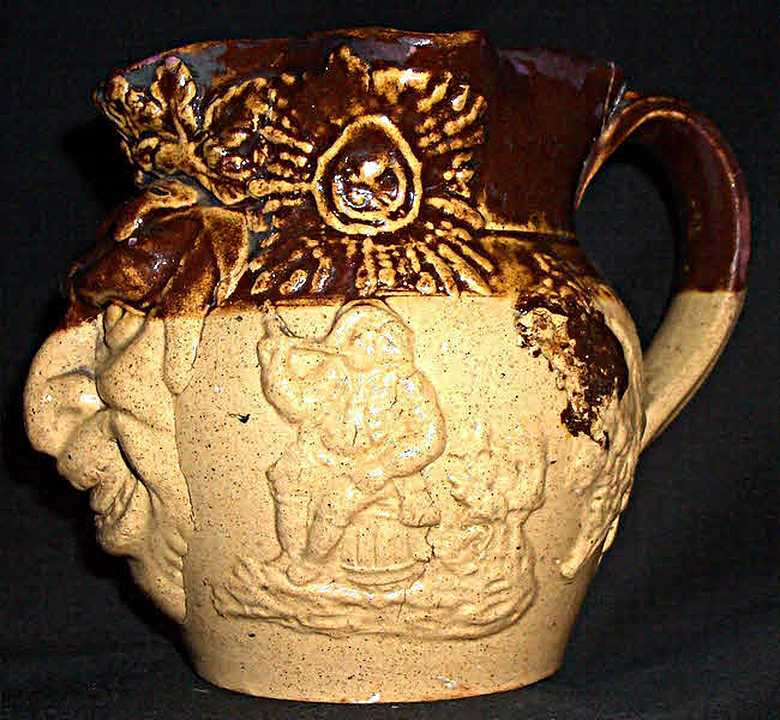 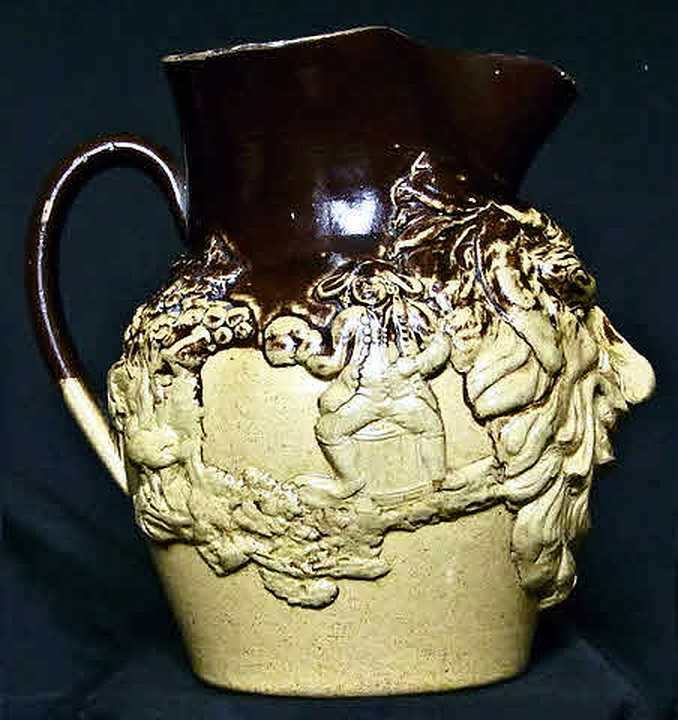 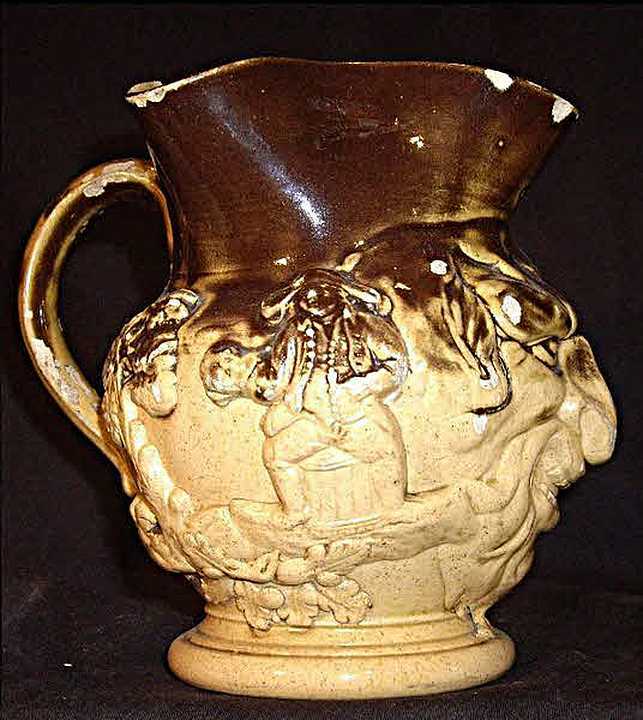 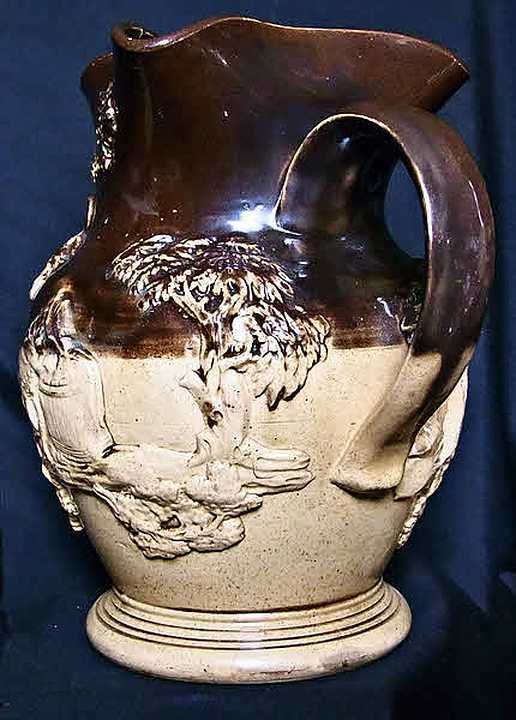 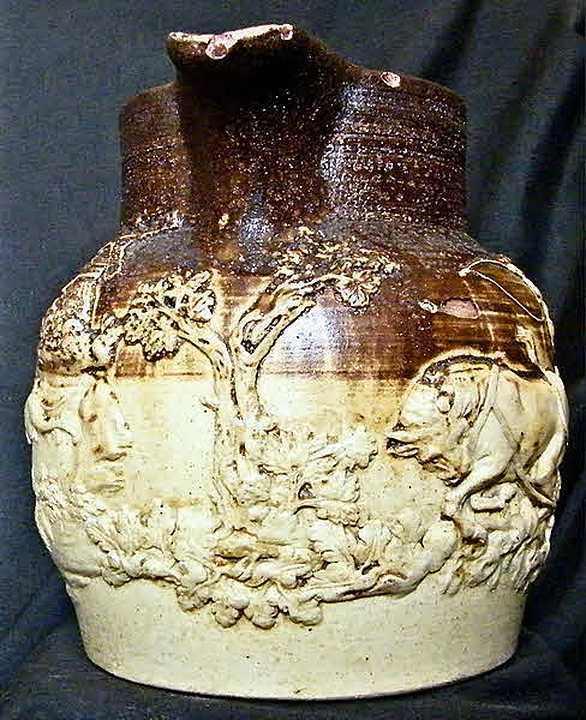 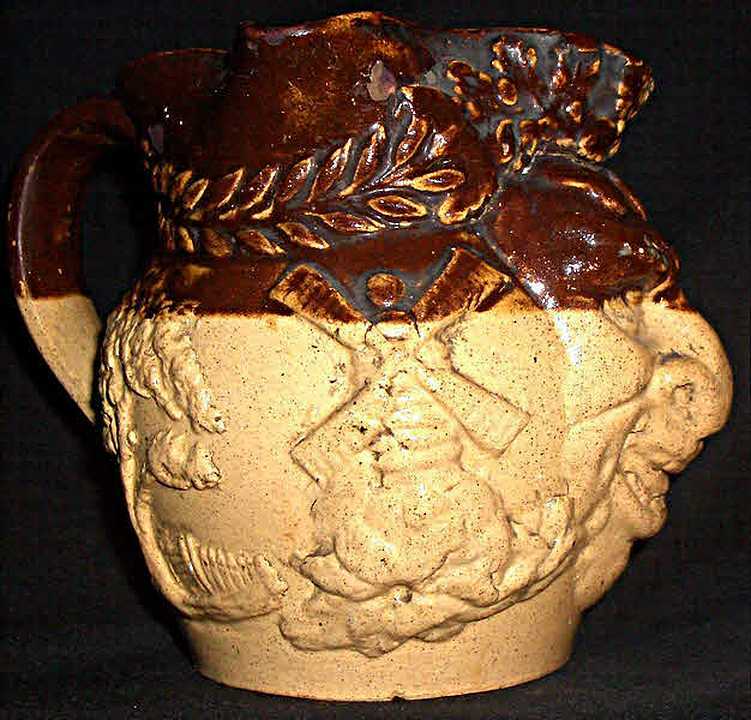 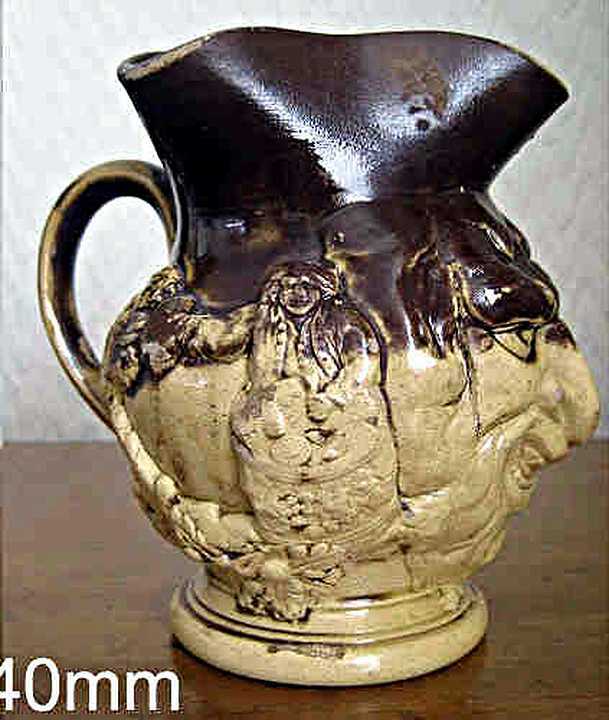 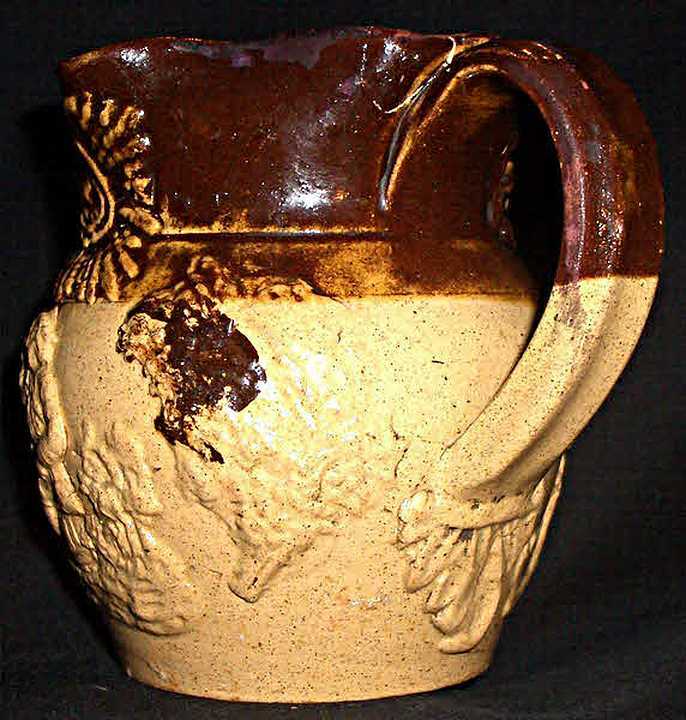 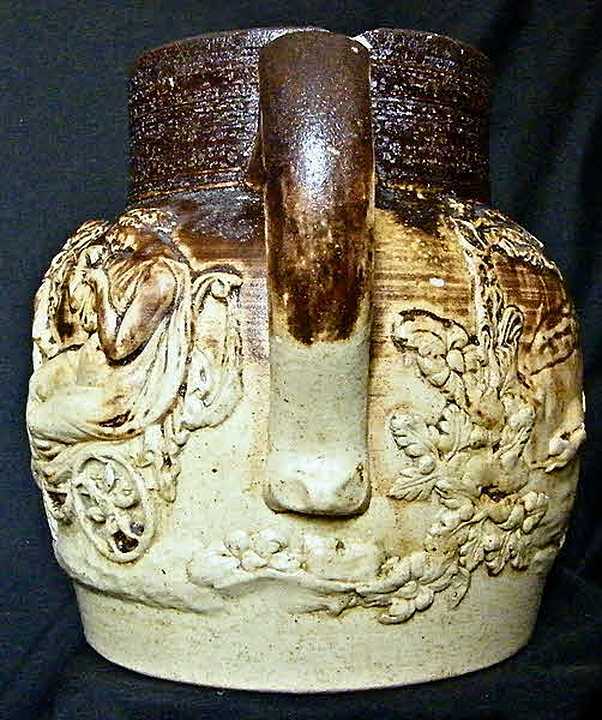 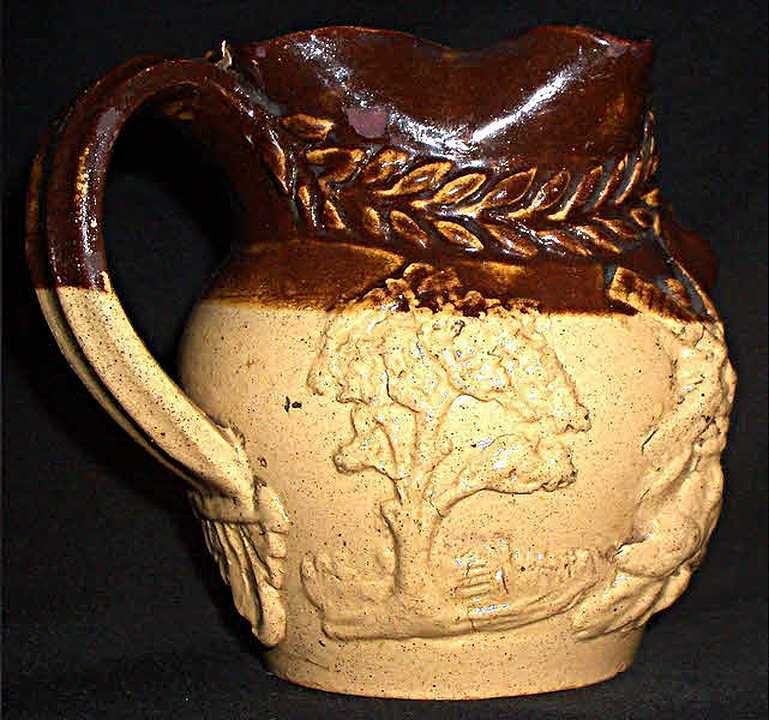 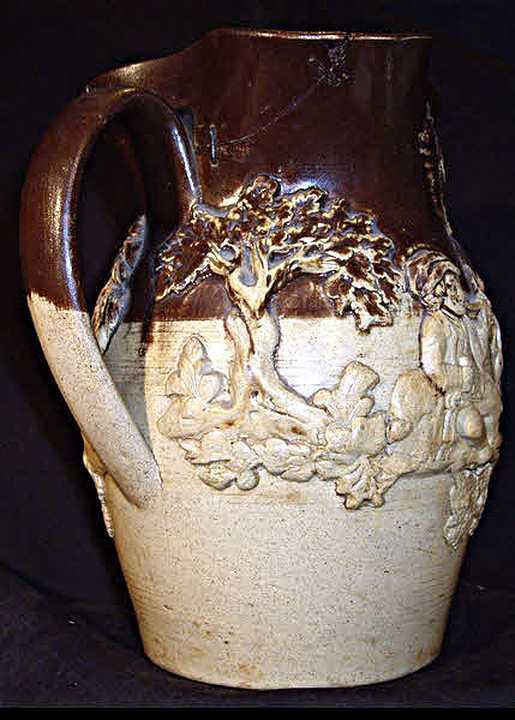 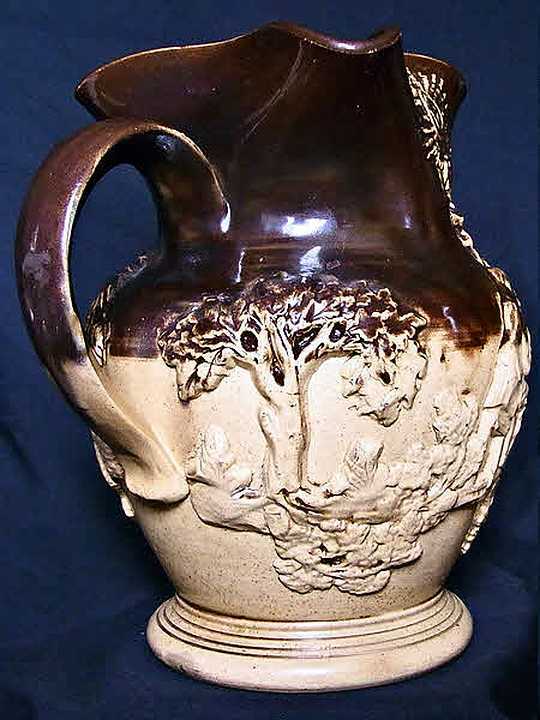 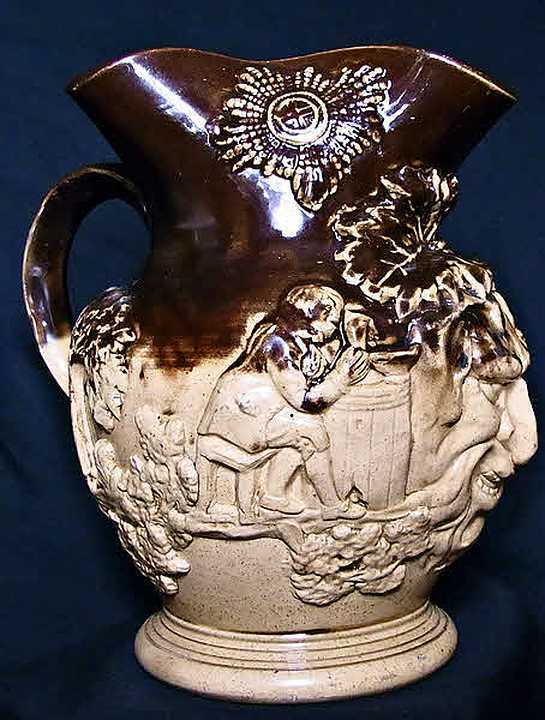 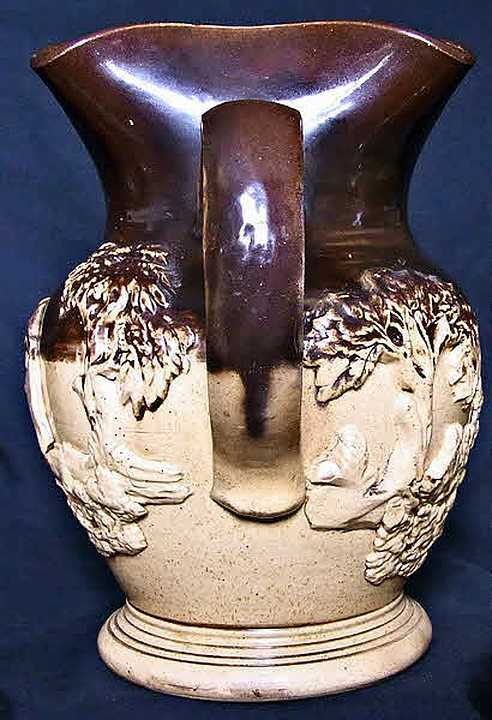 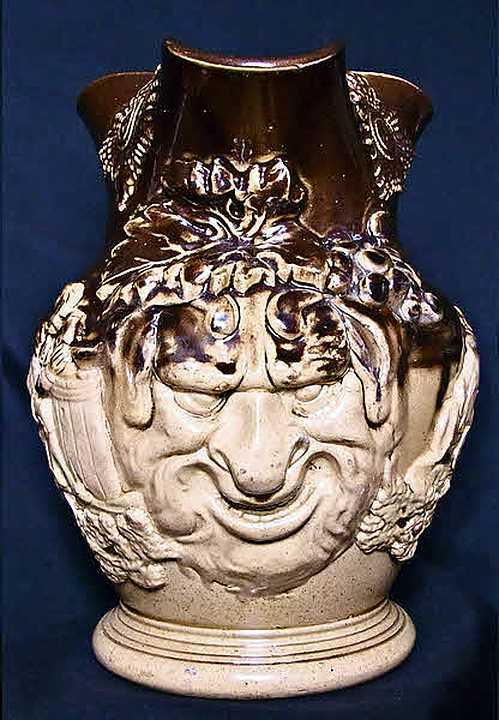 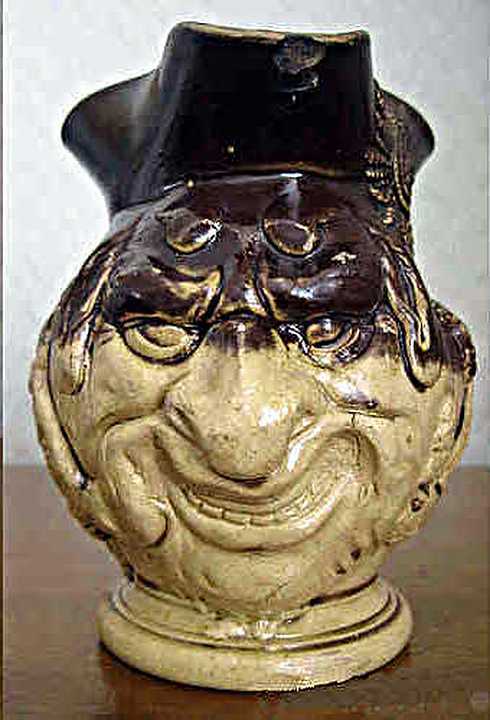 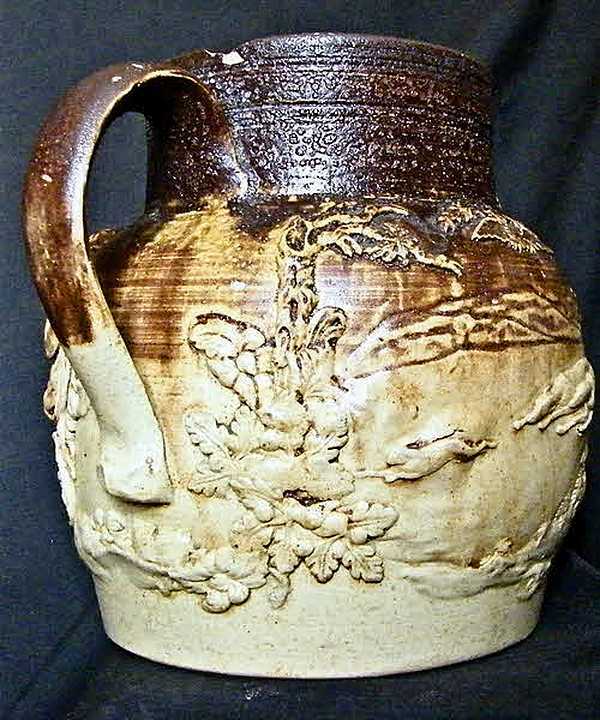 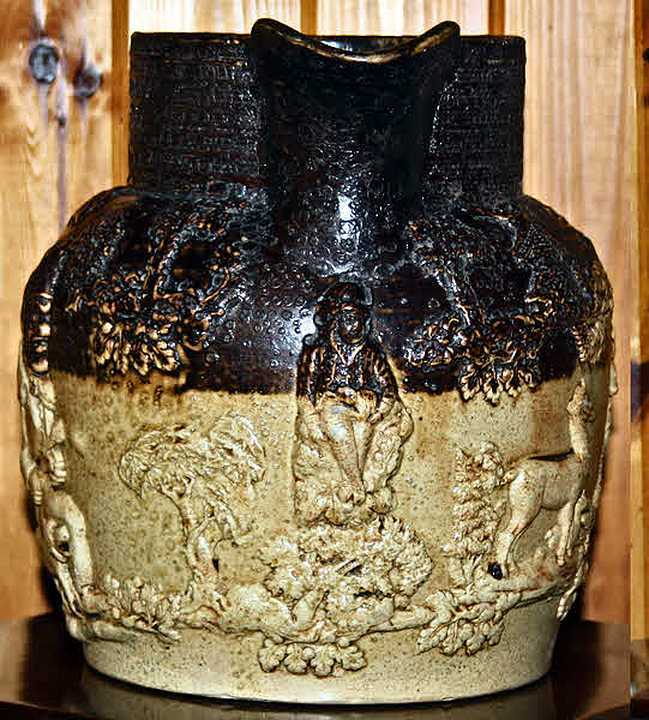 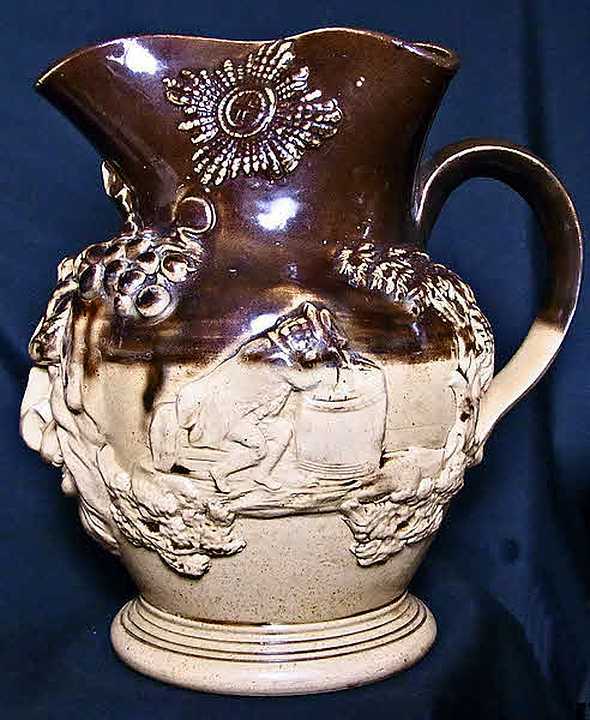 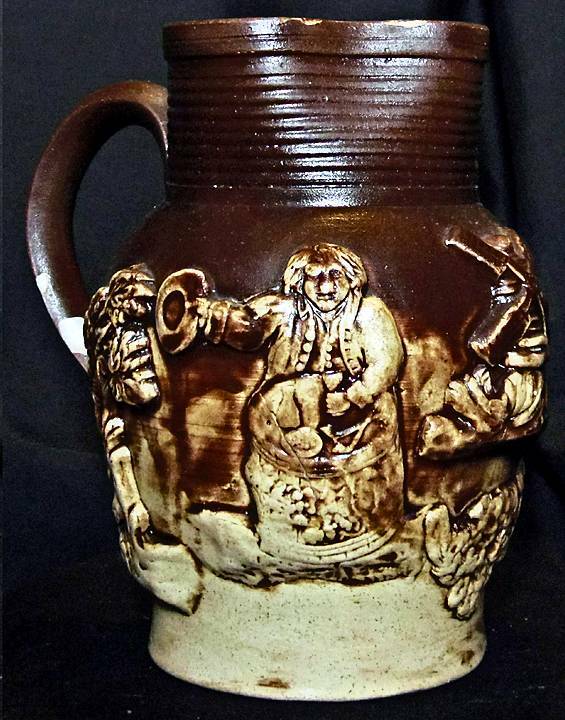 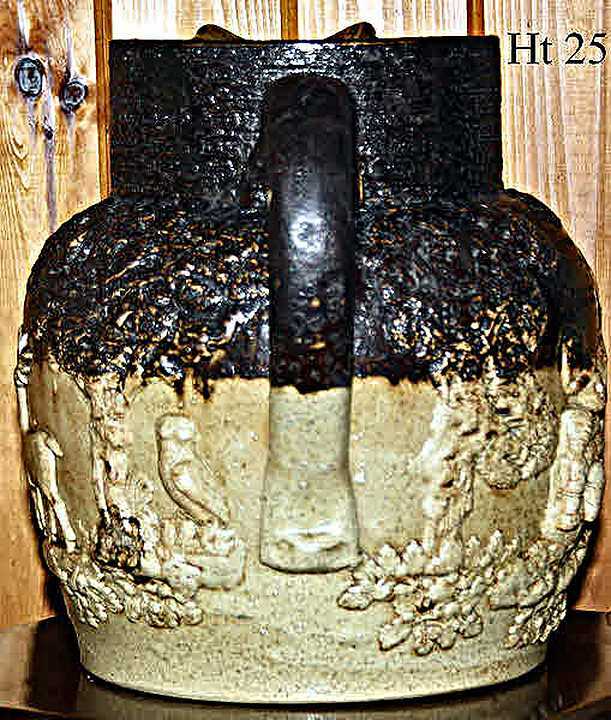 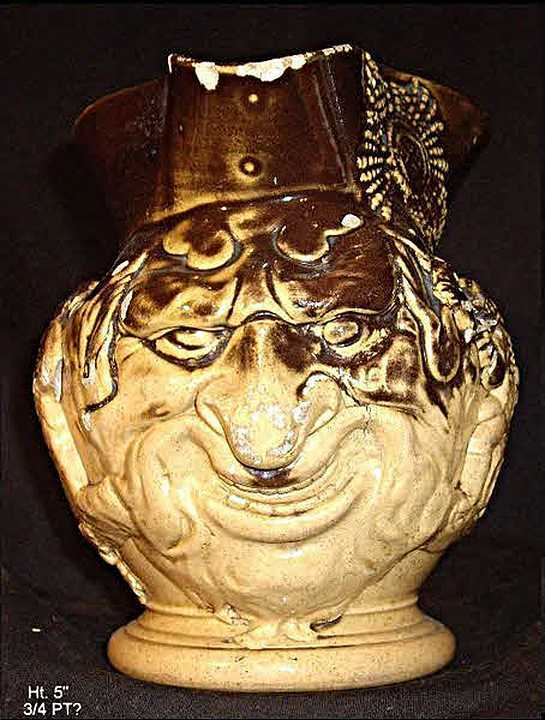 jugs with large grotesque faces. 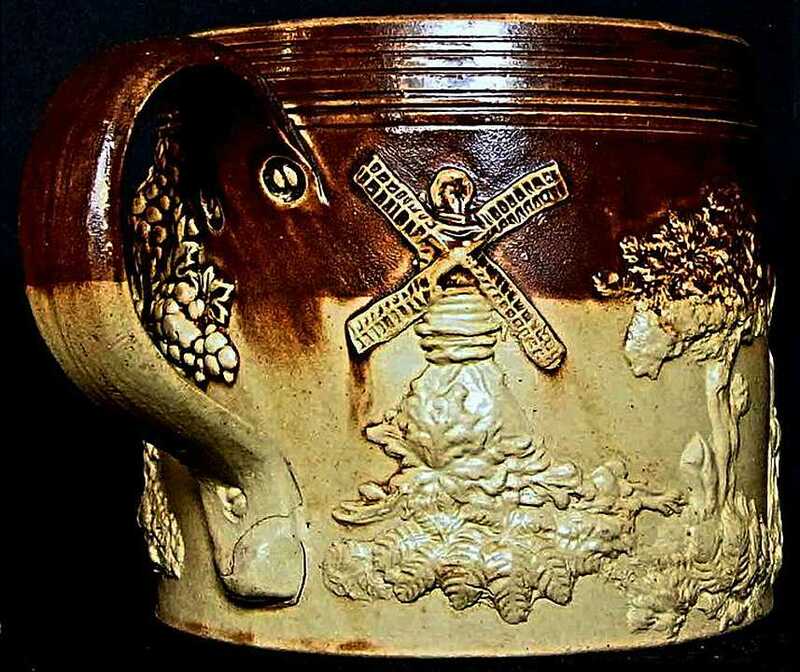 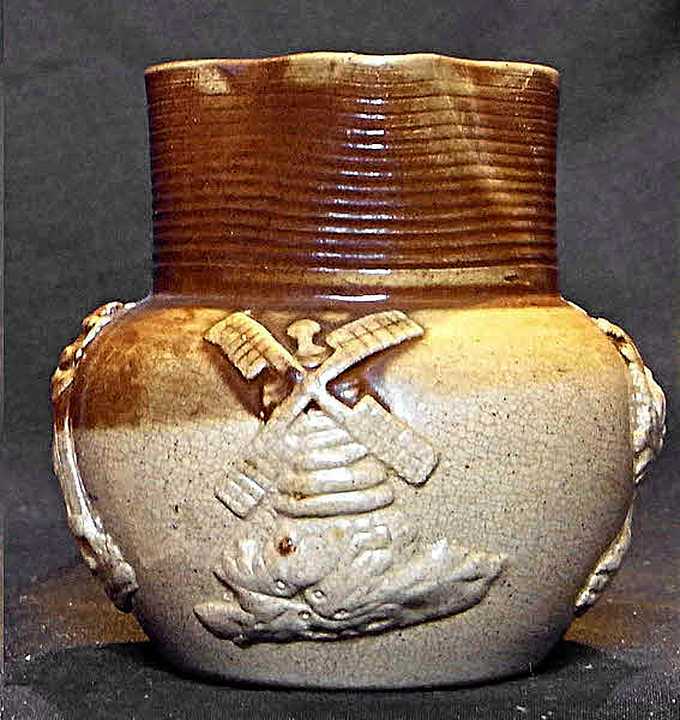 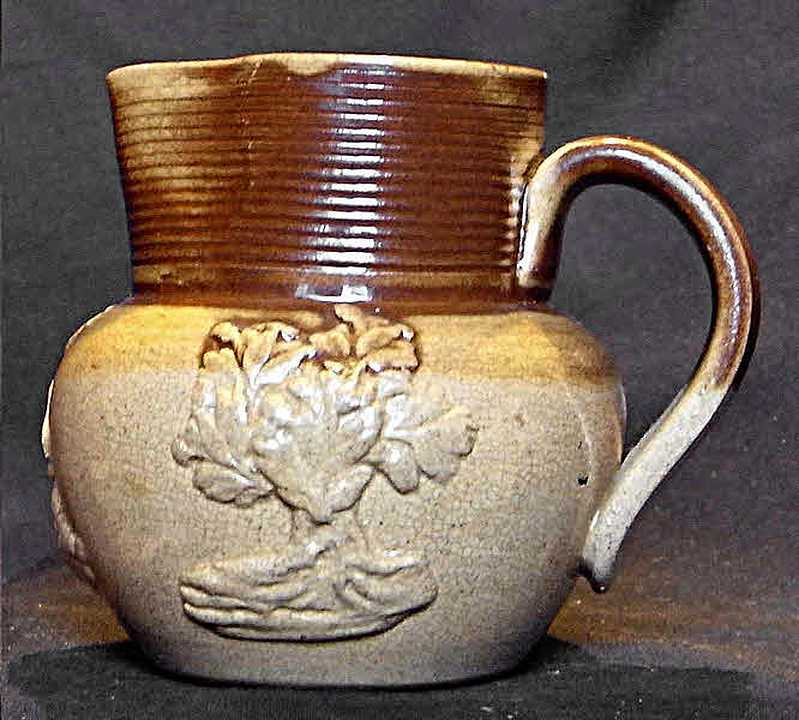 The body might suggest Bristol or even Staffordshire but the sprigs are much closer to those on Derbyshire (Brampton/Chesterfield) salt glazed wares. 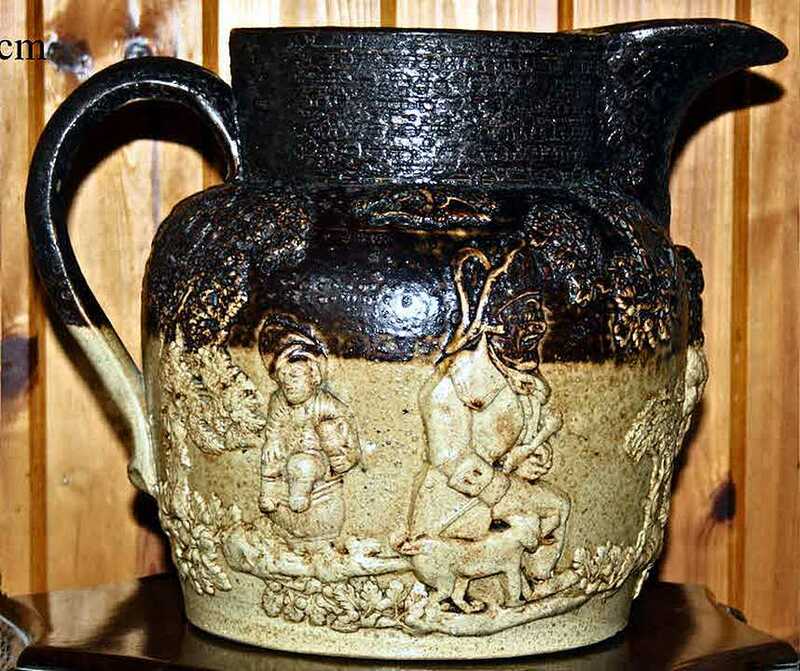 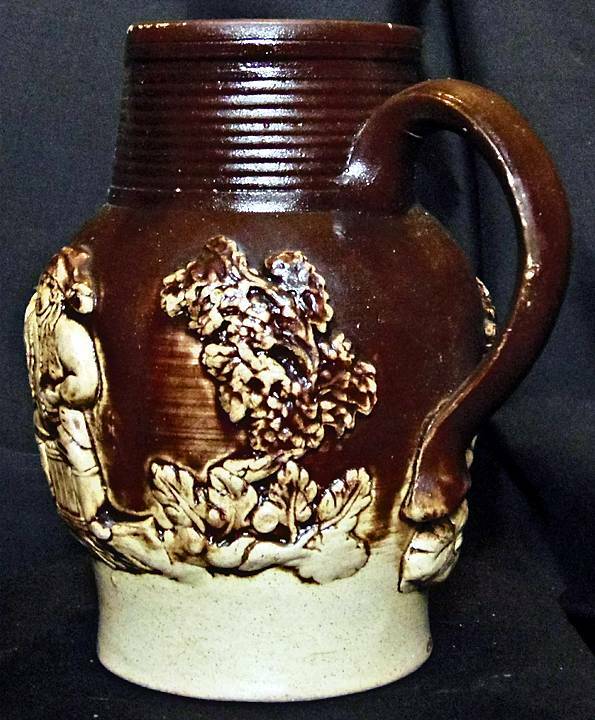 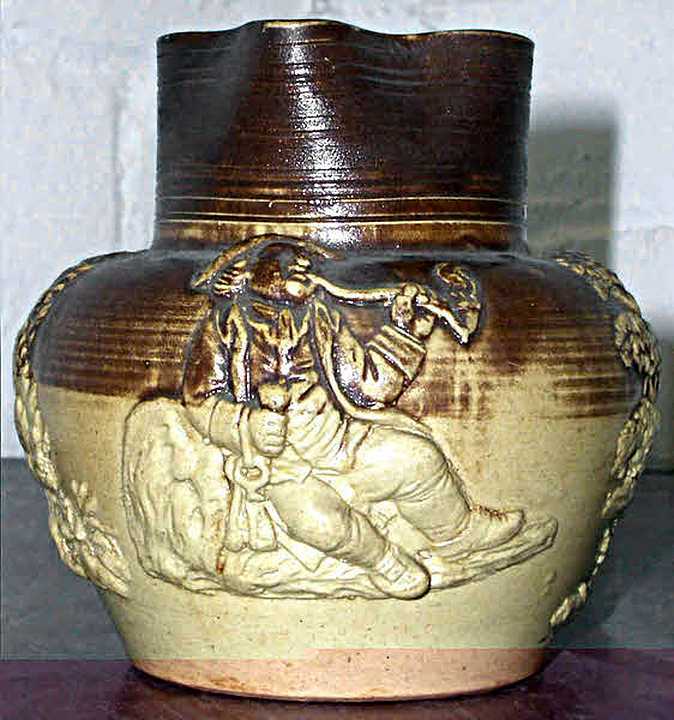 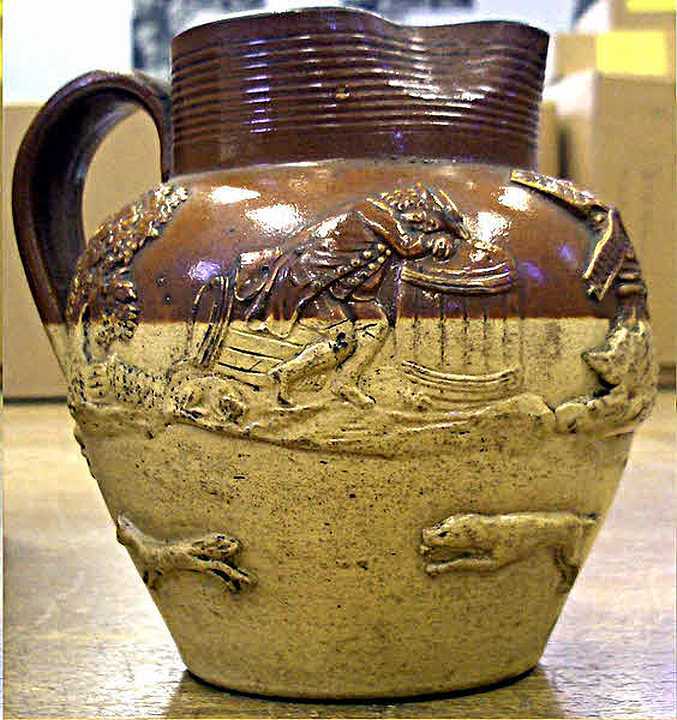 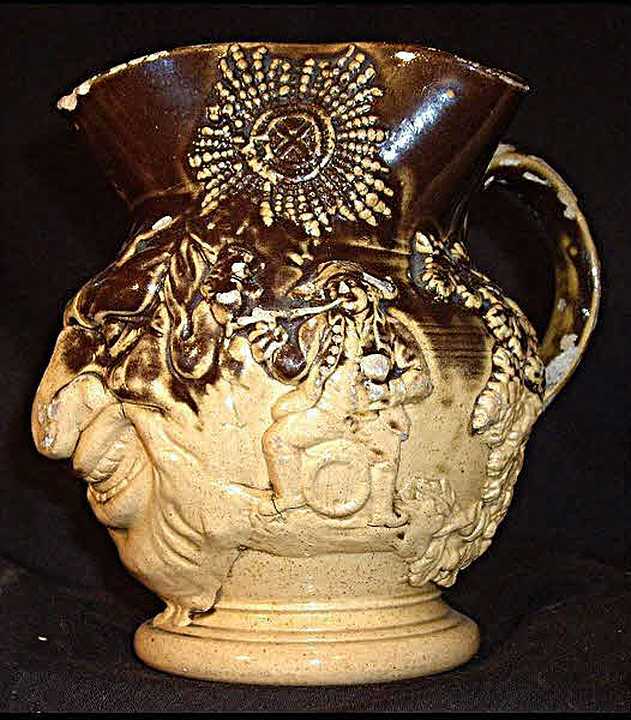 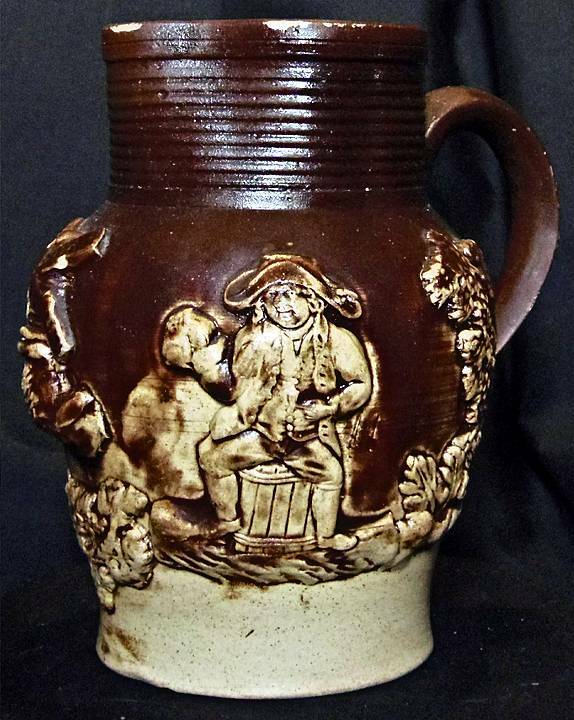 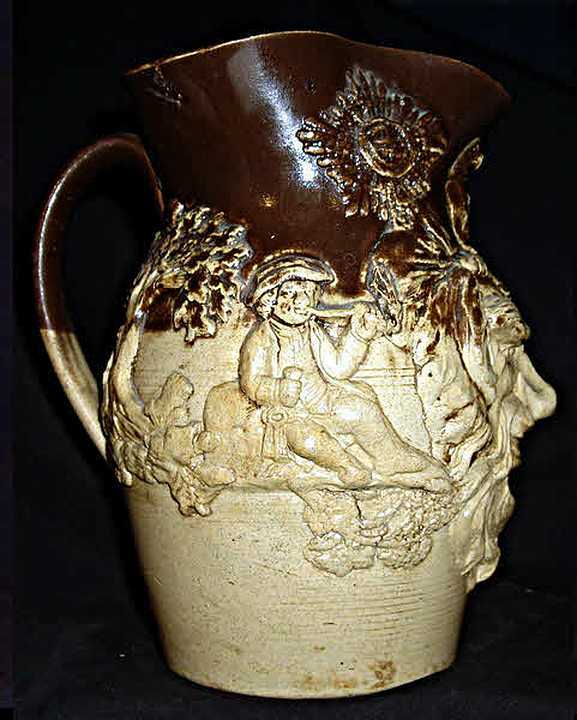 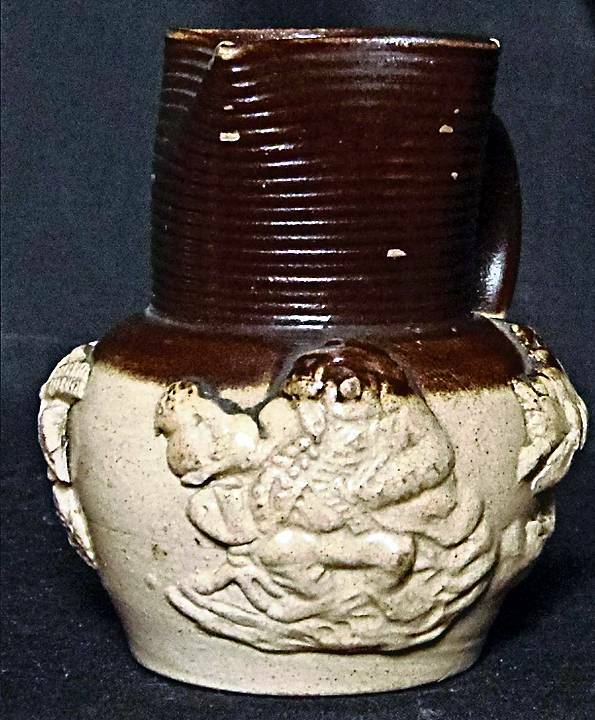 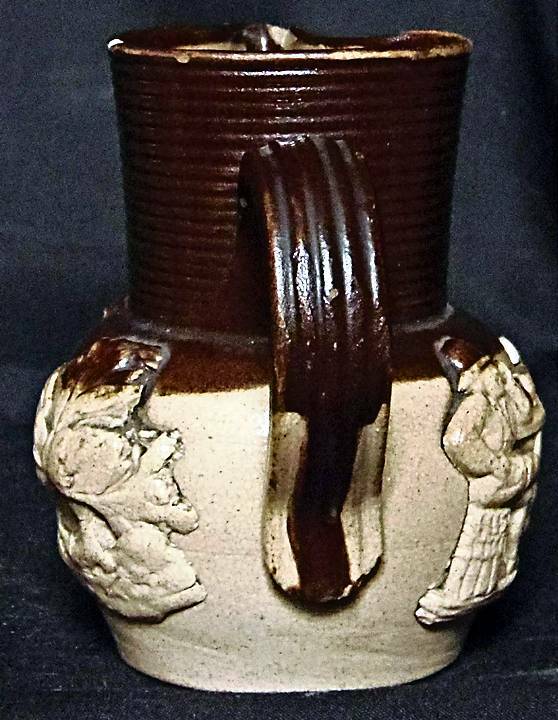 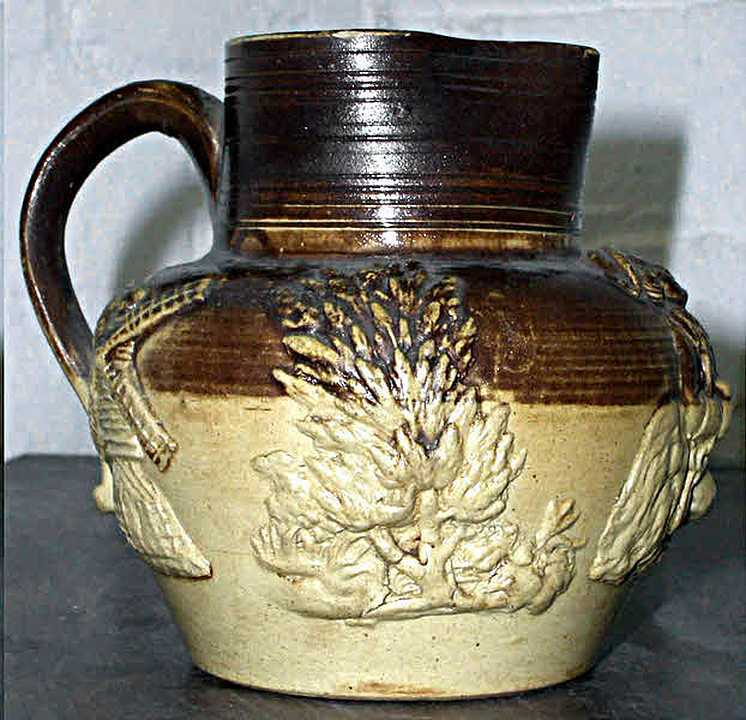 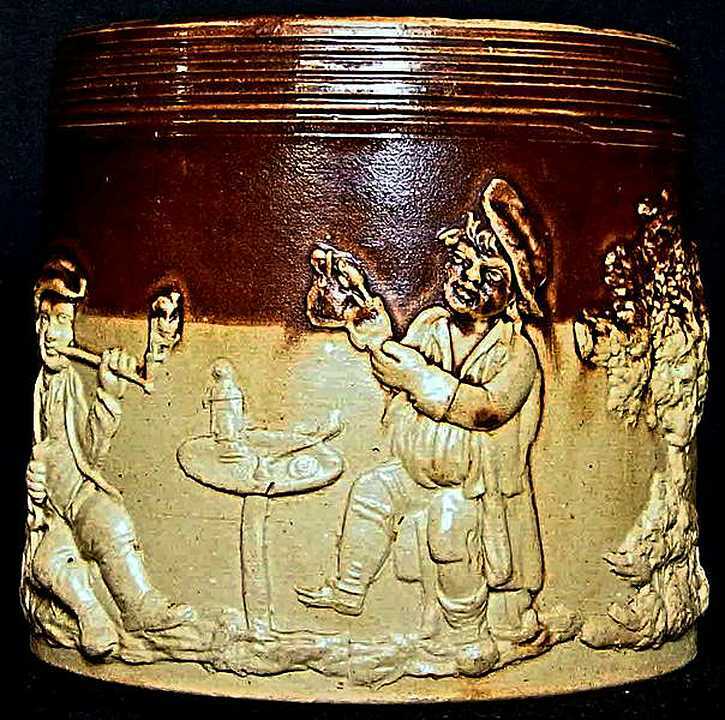 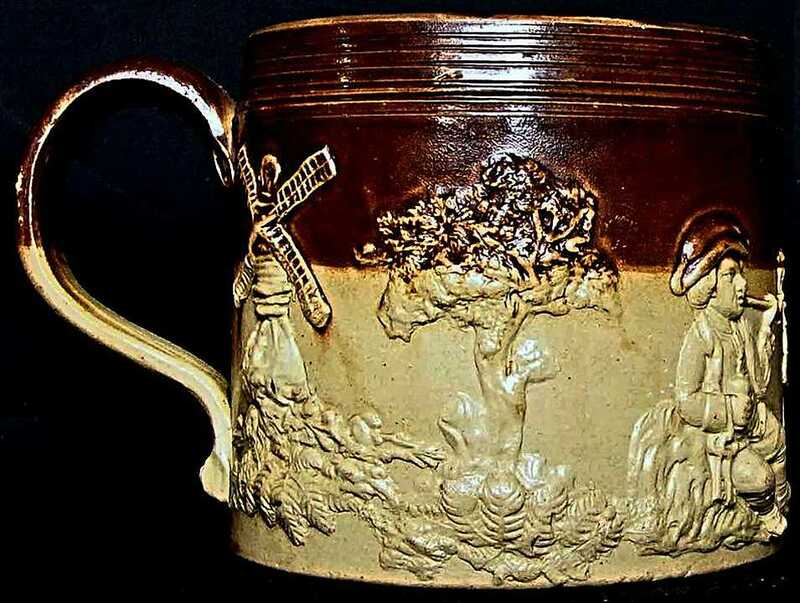 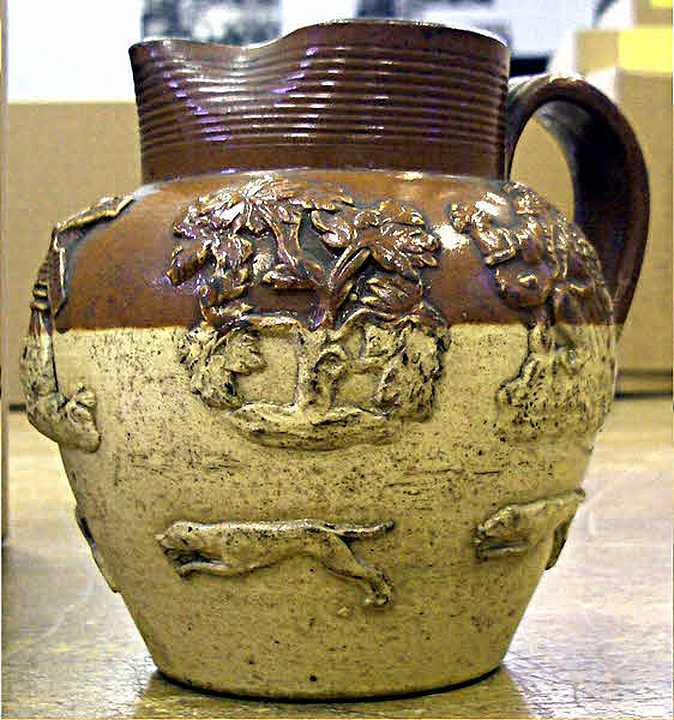 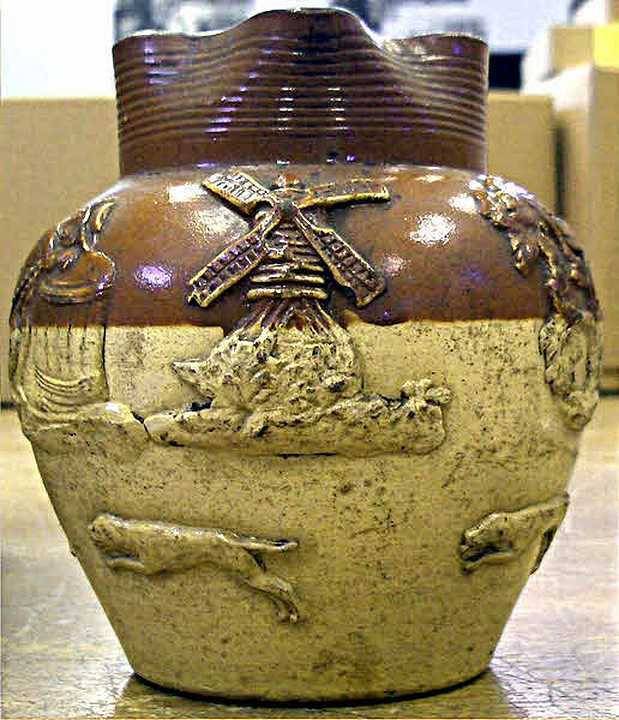 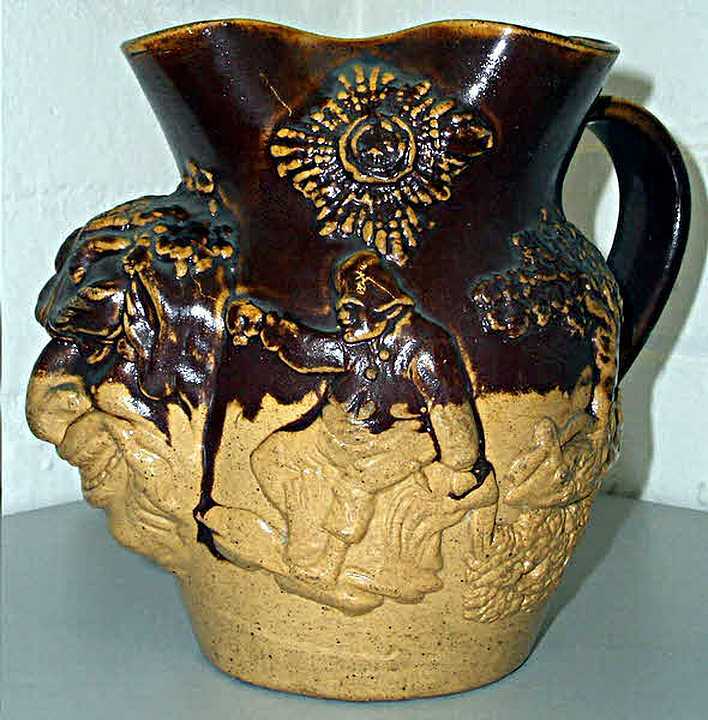 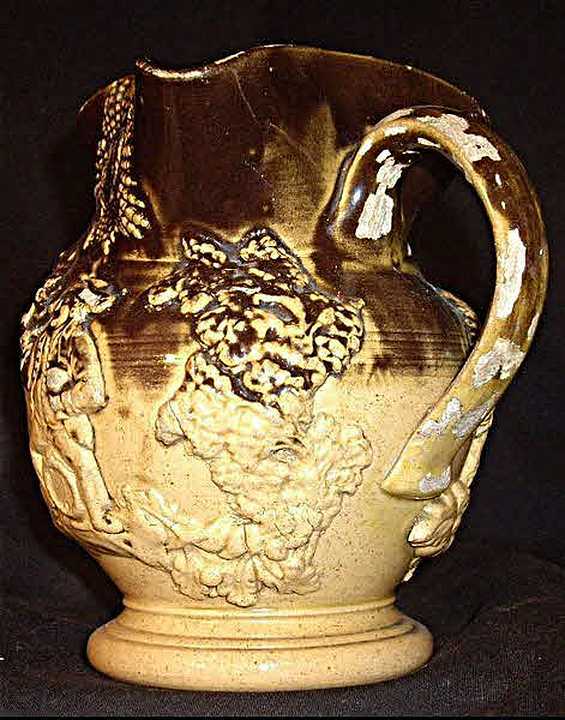 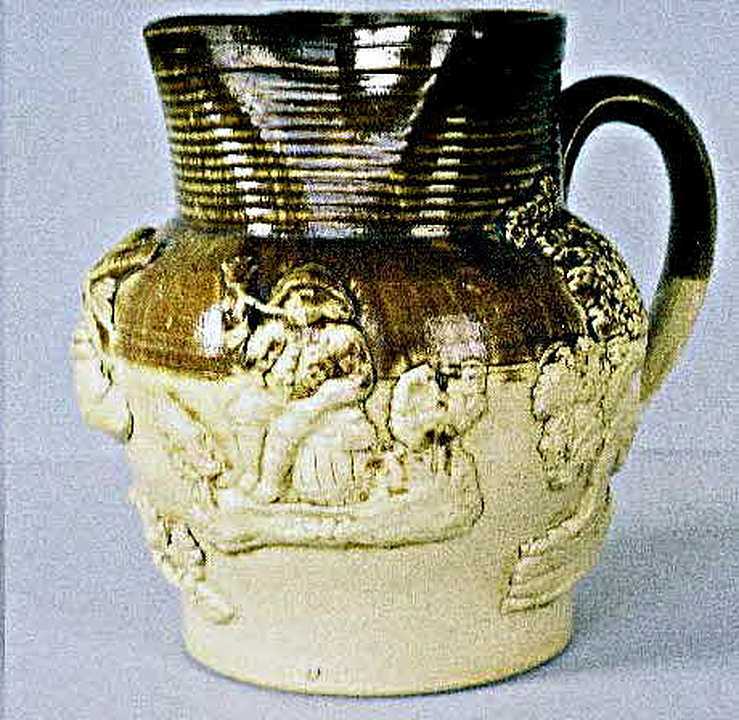 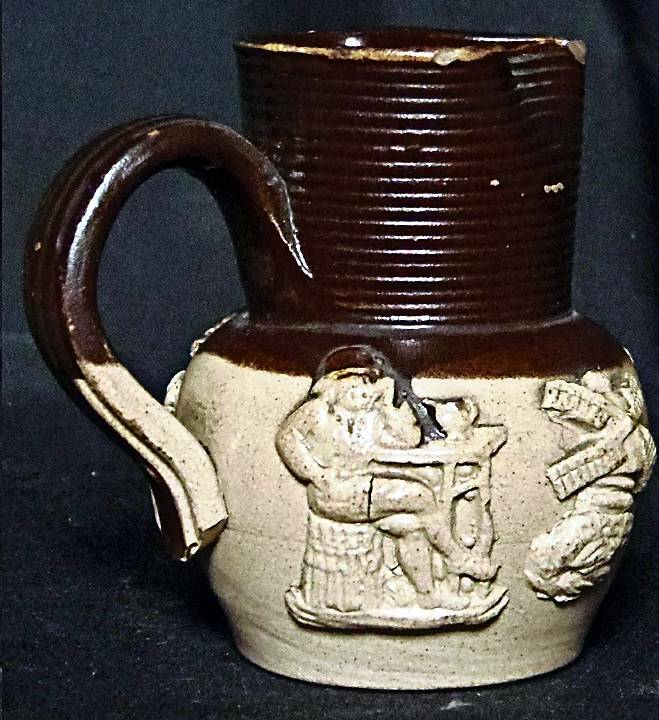 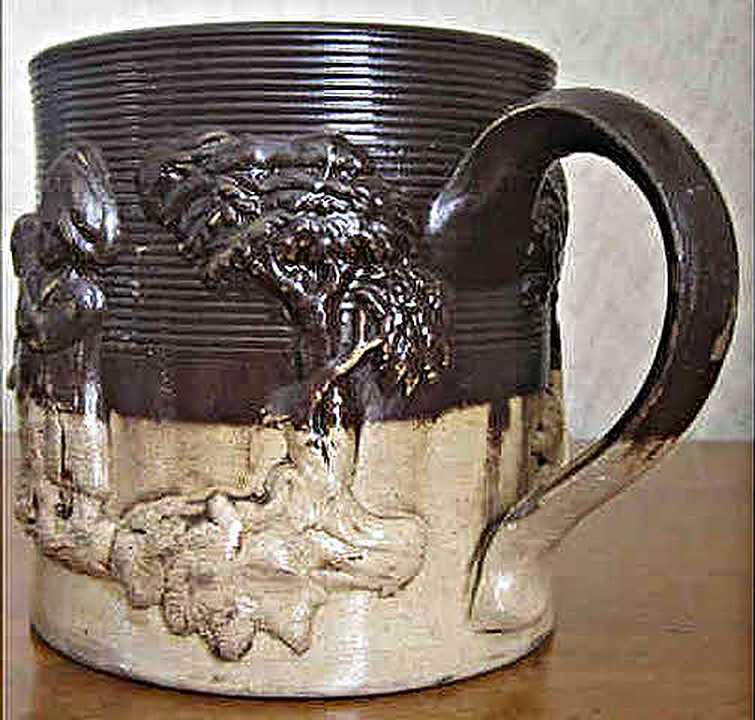 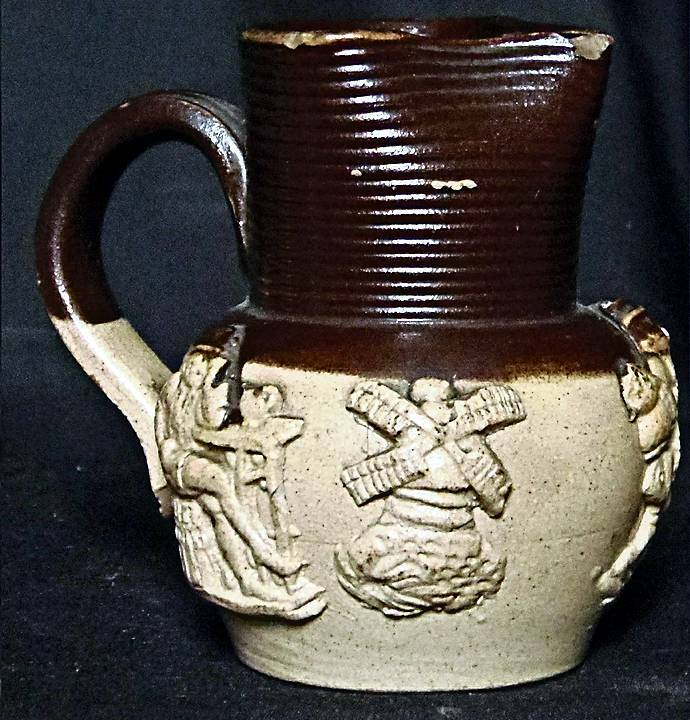 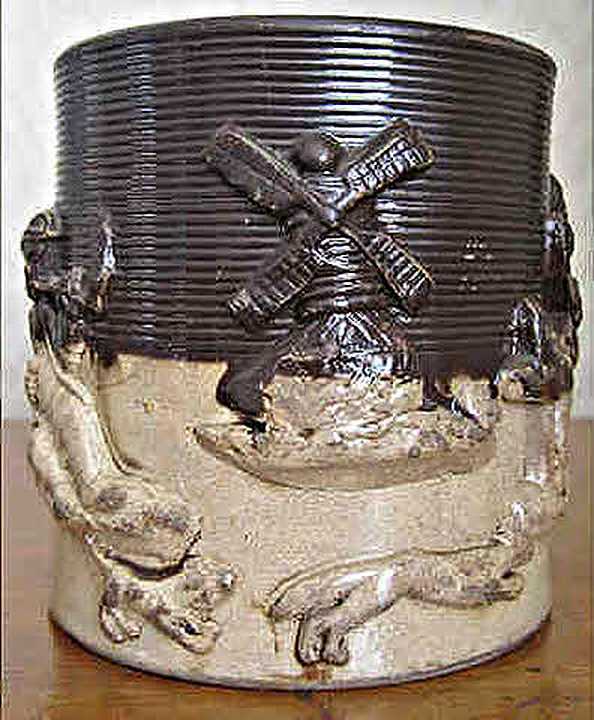 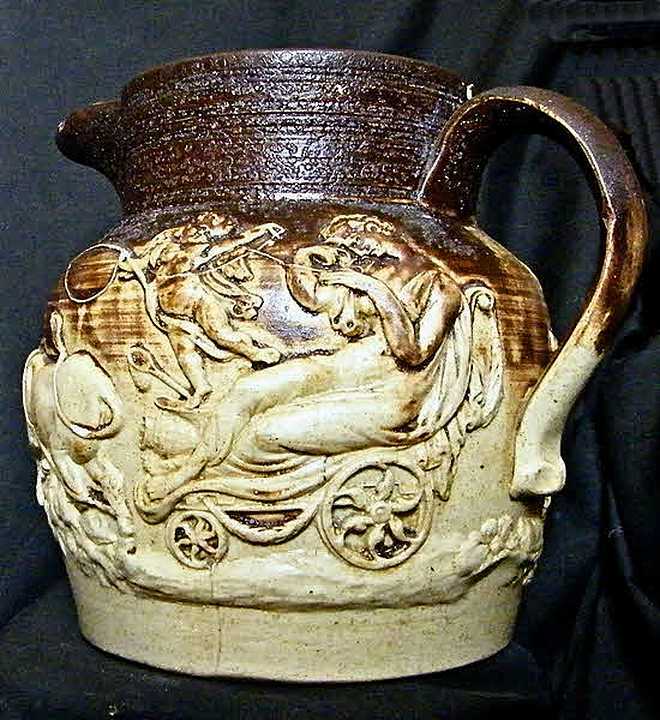 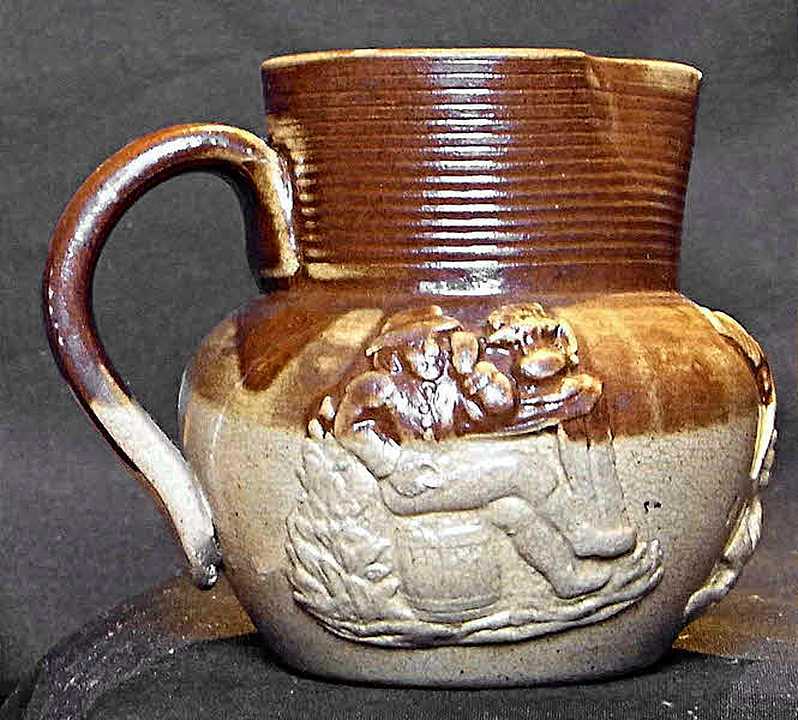 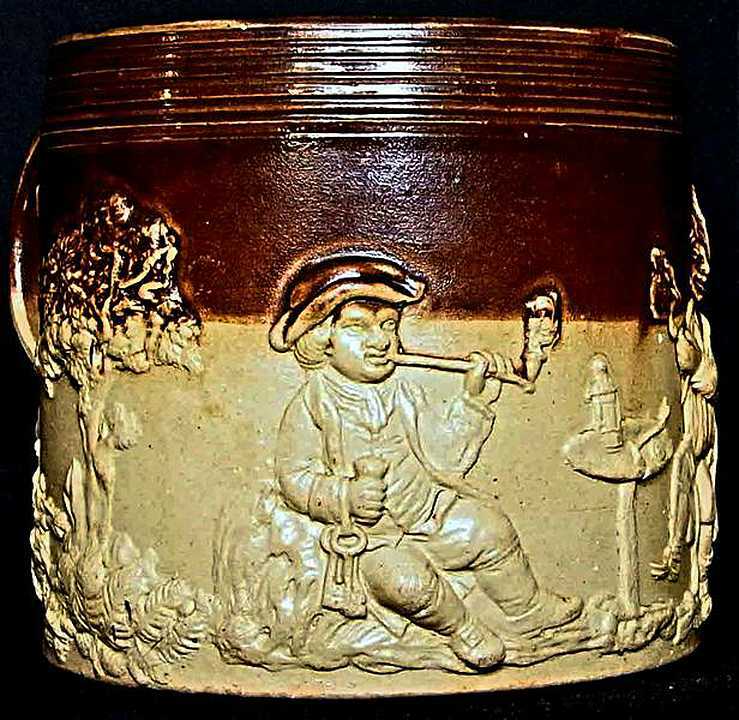 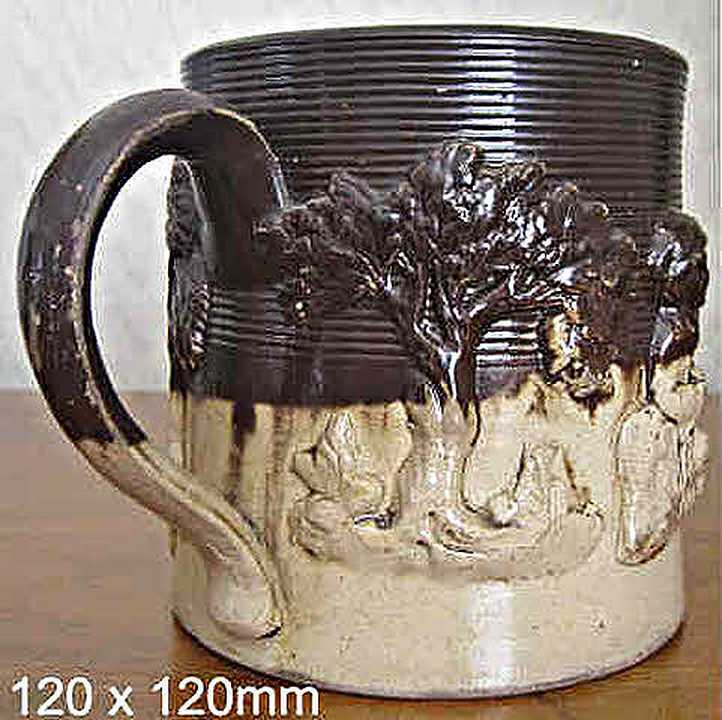 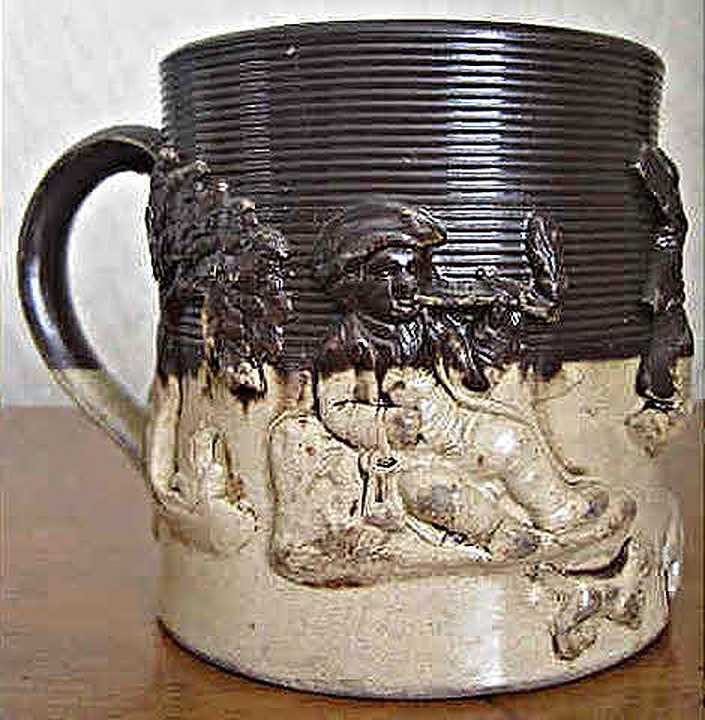 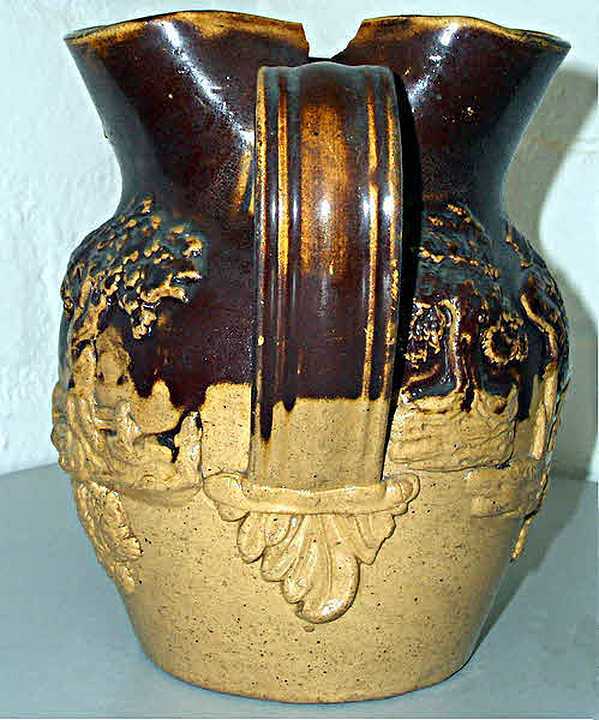 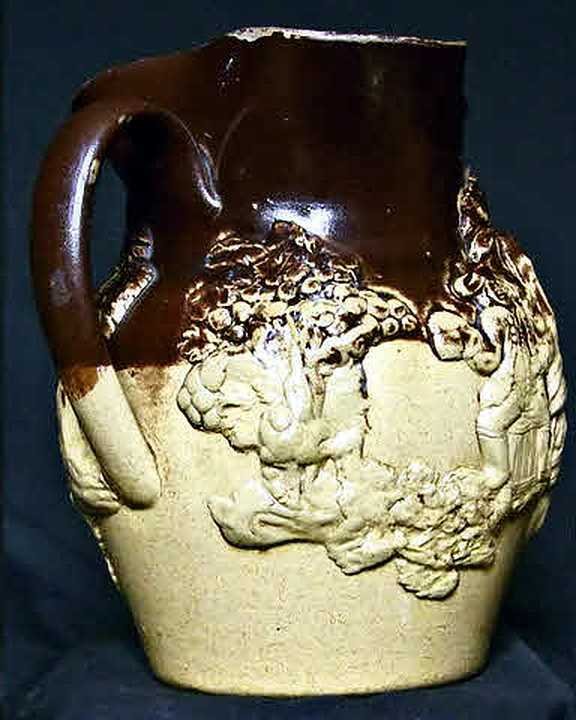 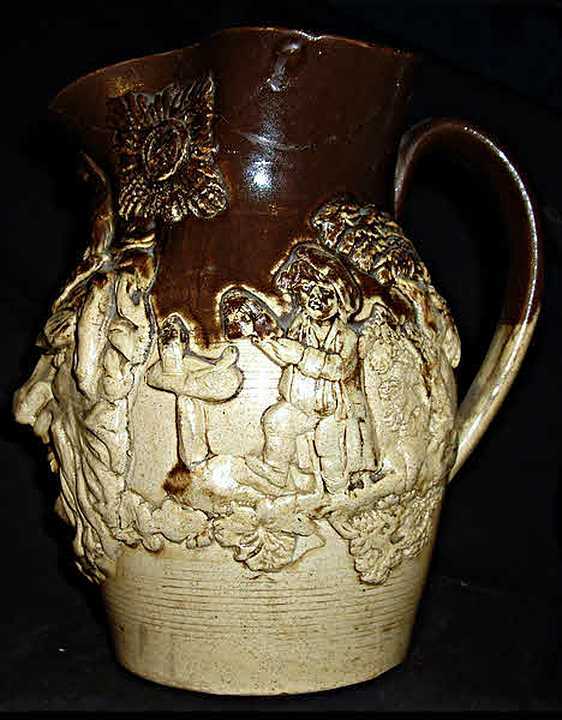 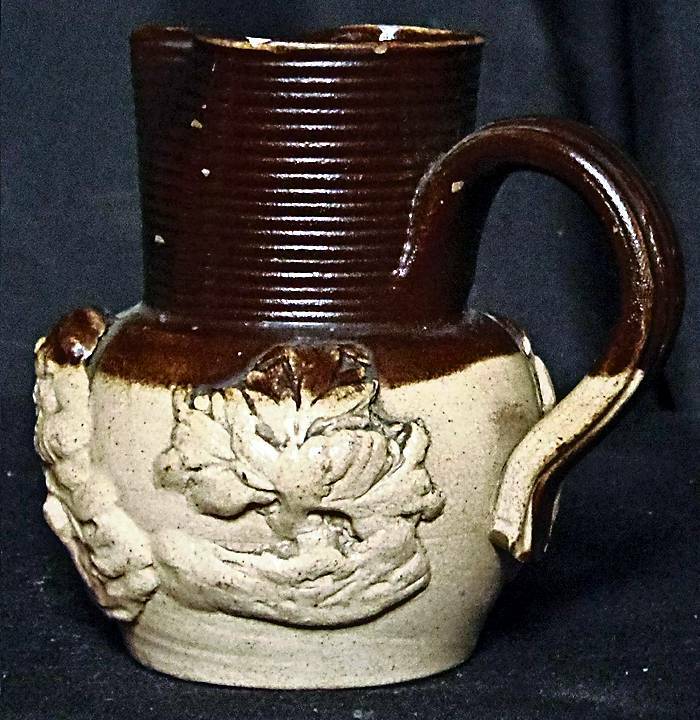 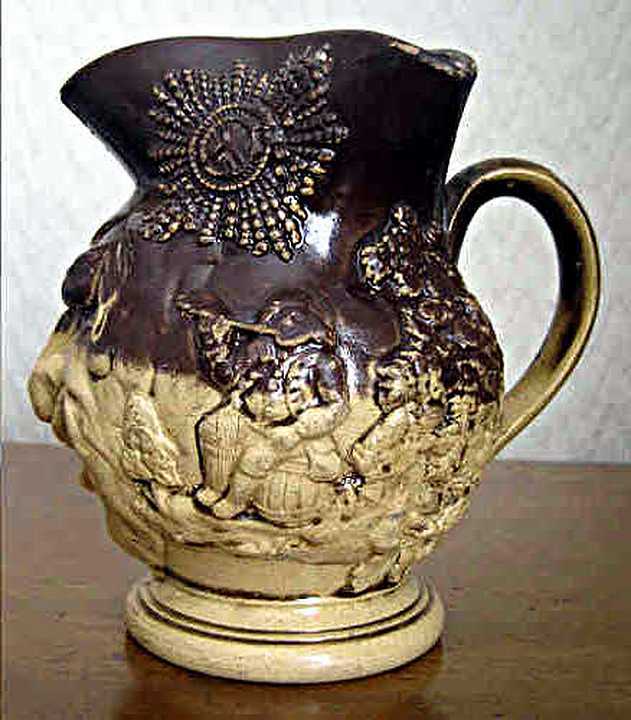 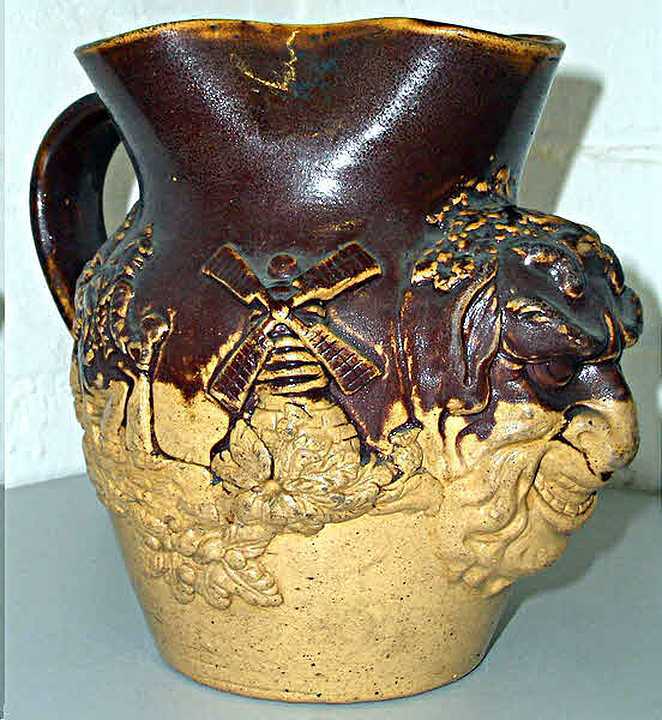 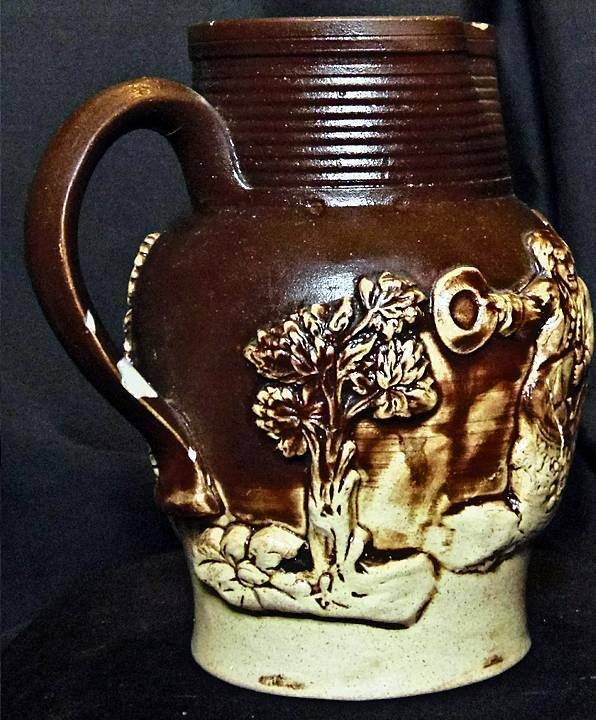 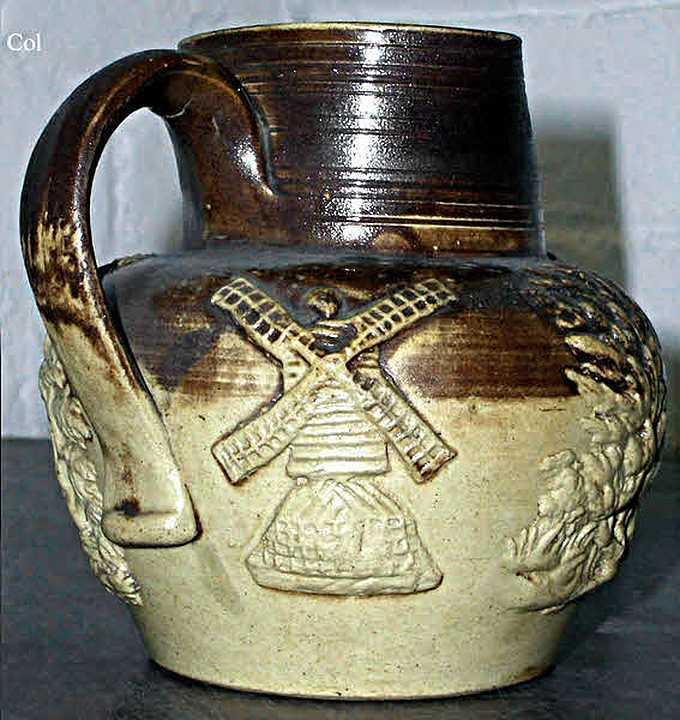 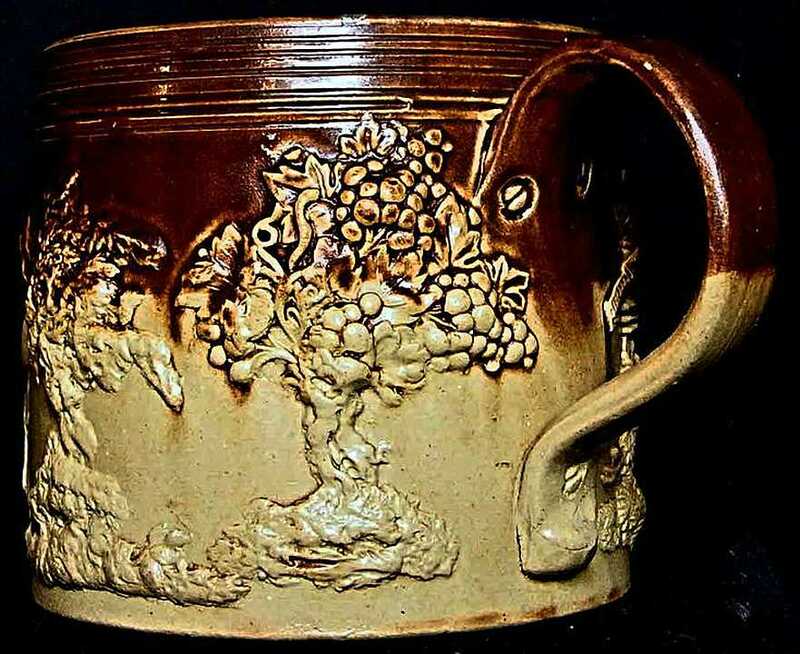 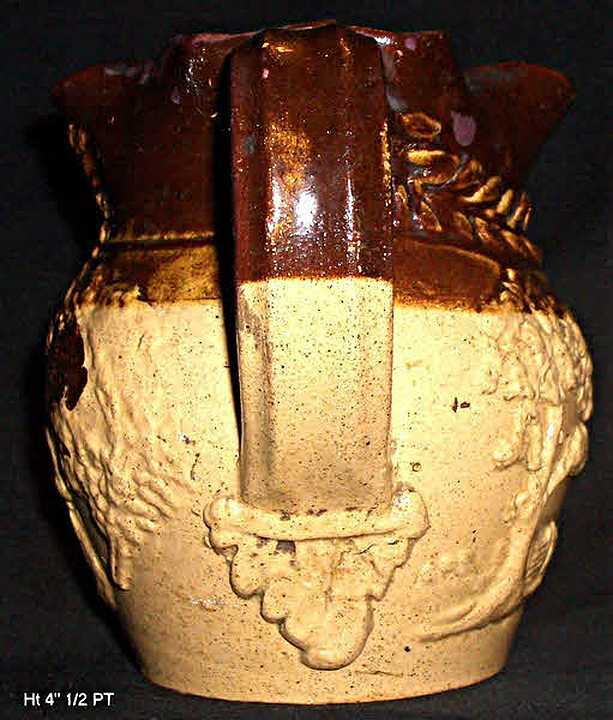 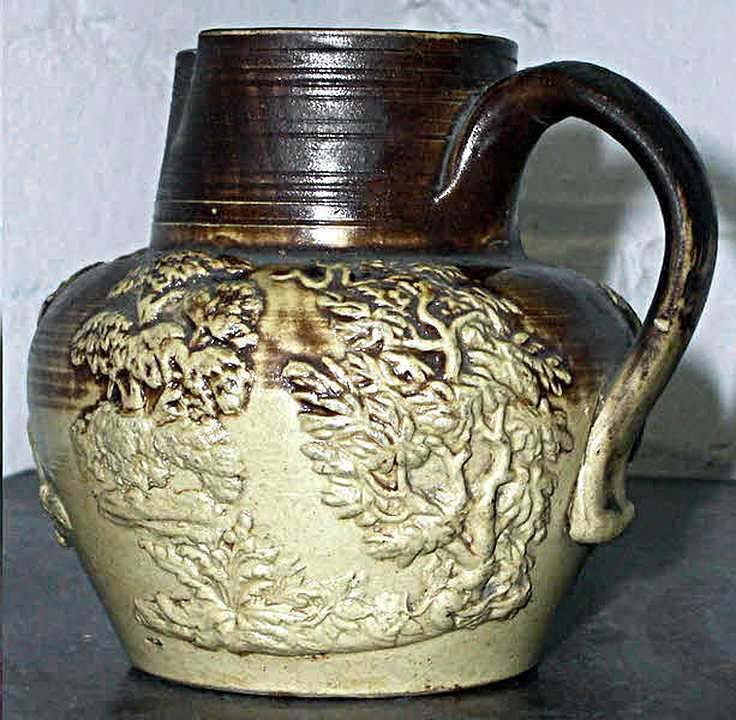 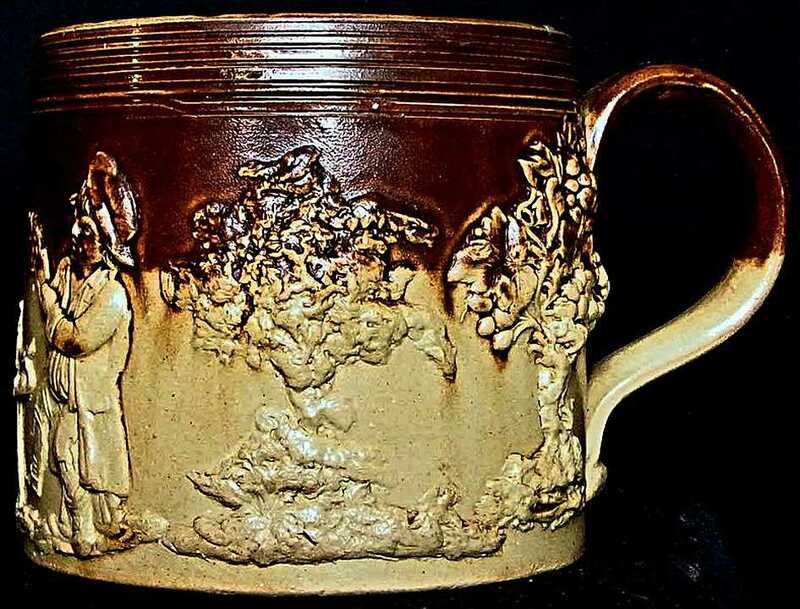 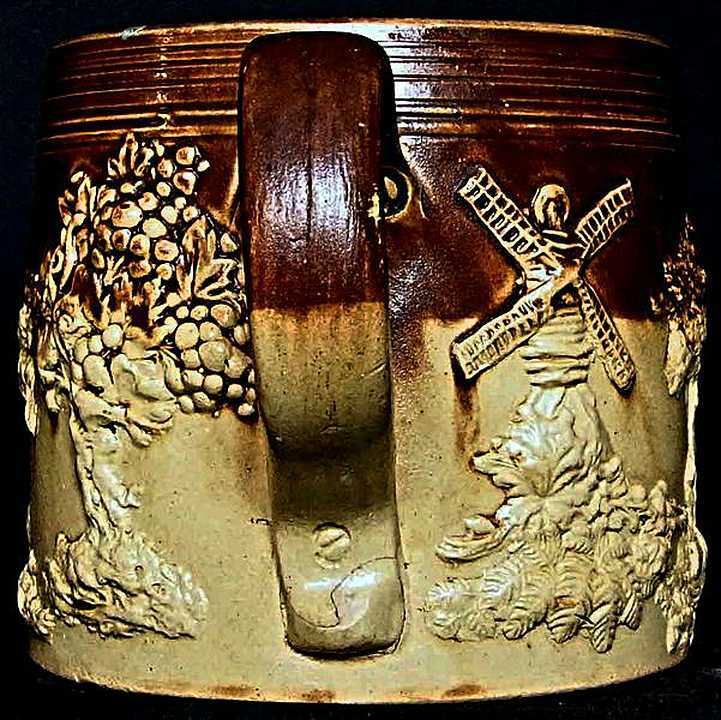 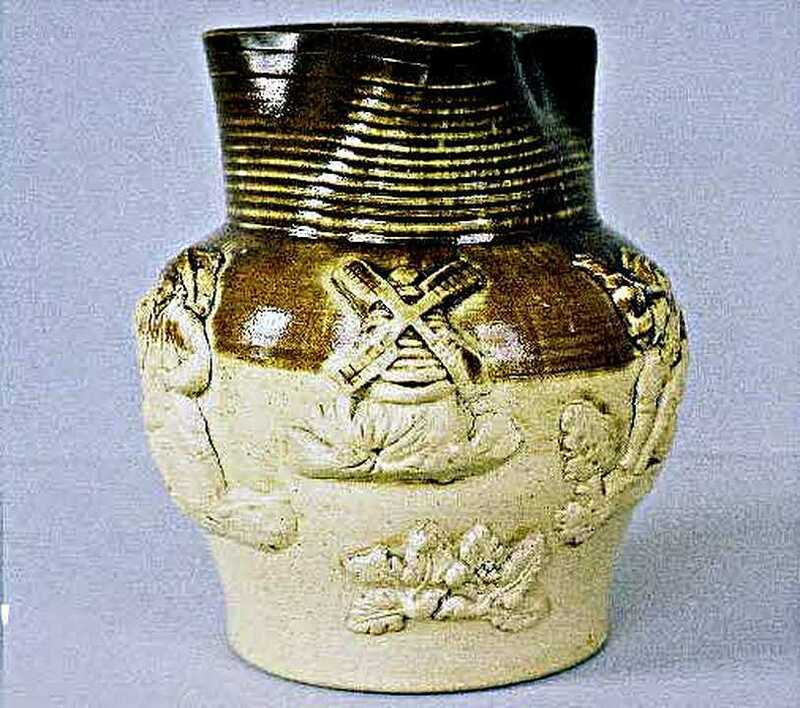 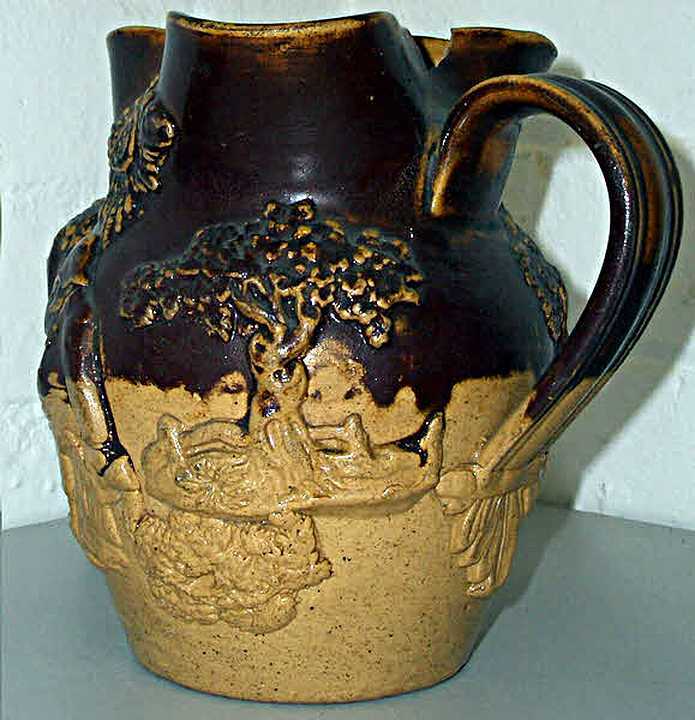 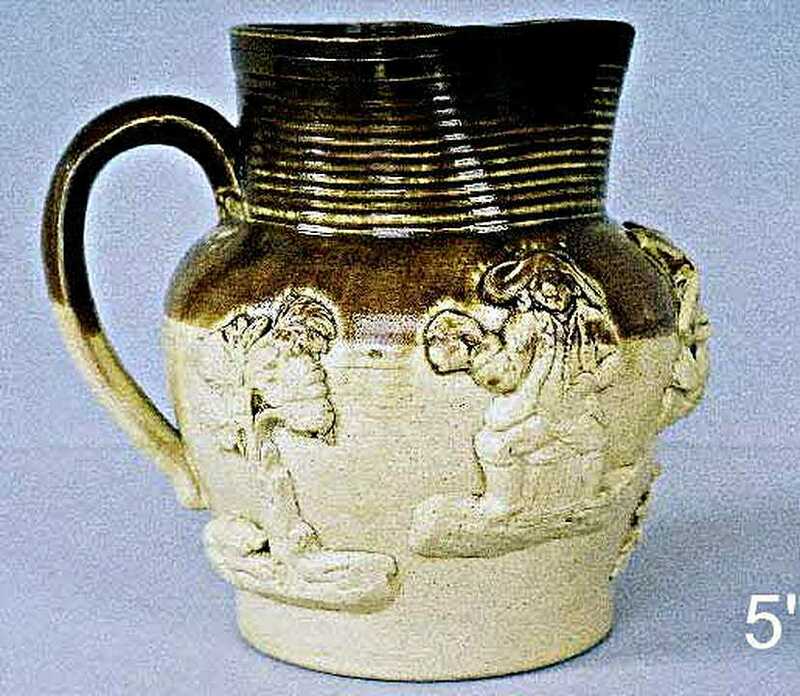 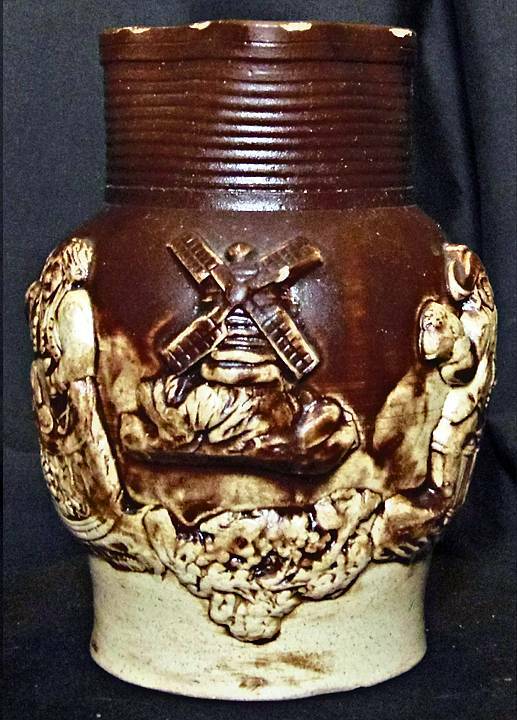 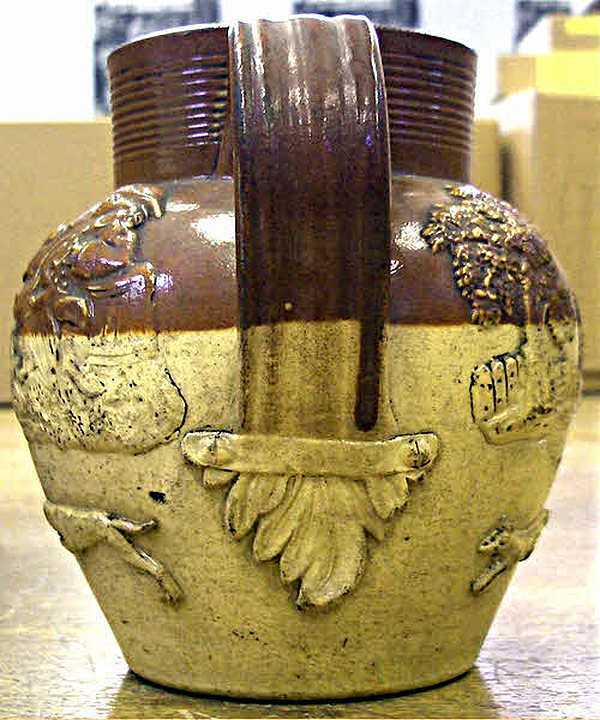 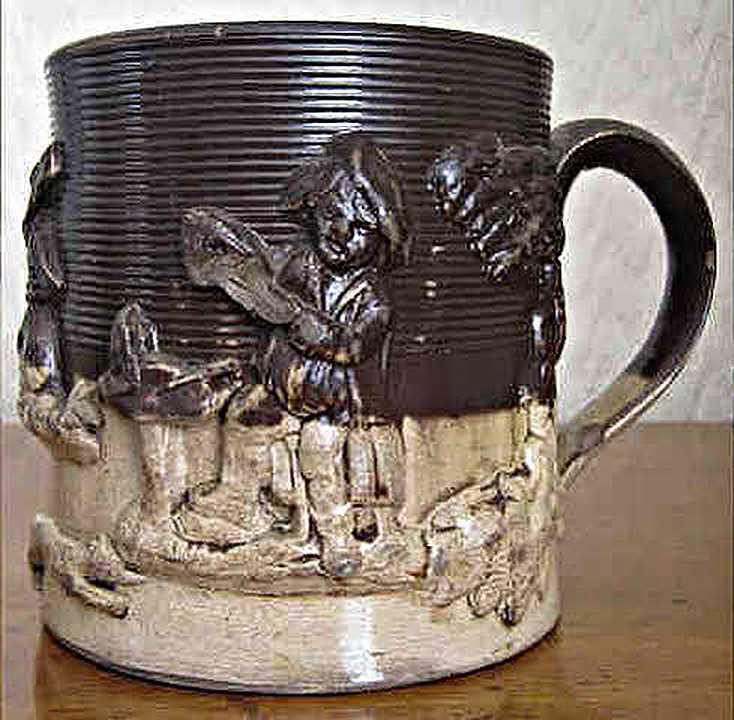 We associate the Briddons with high quality (often signed) honey coloured salt glaze but they also made bricks (Freebody's Directory 1852) and a lead glazed earthenware copy of the well known monkey jug (made in stoneware in both Staffordshire and Denby) is known with a label indicating manufacture (1850) at the Walton pottery, which is presumed to be that of William Briddon. 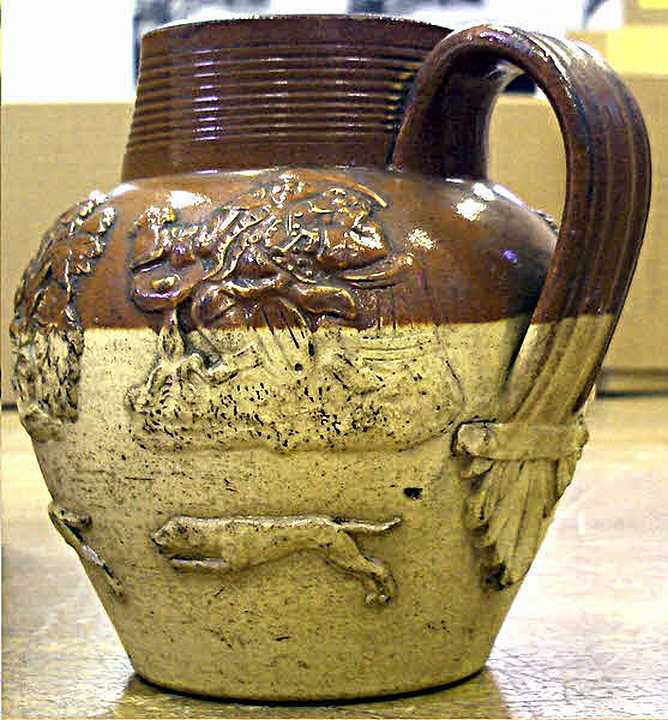 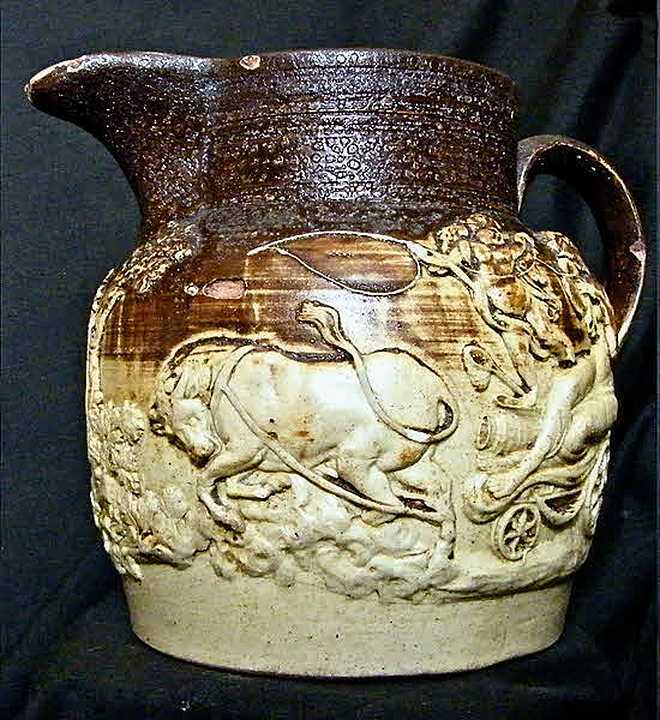 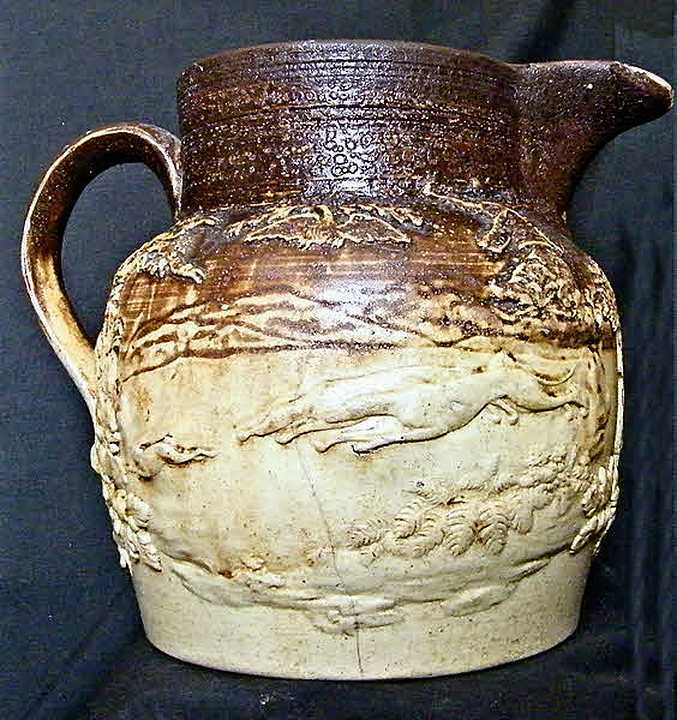 These jugs are probably from the same source as another series of earthenware jugs and tankards with reeded necks.